I am now using my middle name, Adele Gardner, in tribute to my namesake, my father and mentor, Del Gardner. Past works have appeared under variations of my legal name (Carolyn Adele Gardner, C. A. Gardner, Carolyn A. Gardner), my previous nickname (Lyn C. A. Gardner, Lyn Gardner), or my SCA name (Deirdre Ní Fionnula). (c) Copyright to photographs on this page (except publication covers) owned by Adele Gardner; her creation and/or from her collection. Menu portraits by Daniel Michael Hegarty Sr. (left) and Adele Gardner (right). 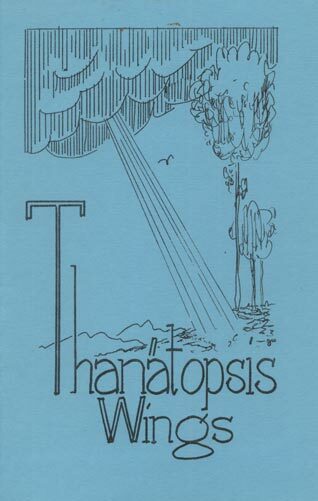 Dreaming of Days in Astophel, poetry collection, Sam's Dot Publishing/Alban Lake, 2011. Published under my former byline, Lyn C. A. Gardner. Available signed from the author. $6 + postage. Please include "Dreaming of Days in Astophel" in the subject line. My first book, a poetry collection called Dreaming of Days in Astophel. From the publisher's original page (Sam's Dot Publishing): "Gardner's collection of fantasy and science fiction takes you to the ends of the universe, real and imagined, and back again." "The Golden Age," Abyss & Apex, Iss. 21, 1st Quarter 2007. "Alabaster," MindFlights, Iss. 10, Oct. 20, 2008. "Rildix Falls," Contemporary Rhyme, Vol. 2, No. 1, Winter 2005. "La trobairitz a la dame de s'amie," Contemporary Rhyme, Vol. 2, No. 1, Winter 2005. La trobairitz a la dame de s'amie. 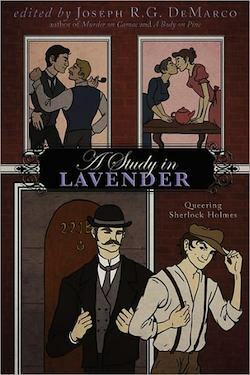 "The Adventure of the Hidden Lane," A Study in Lavender: Queering Sherlock Holmes, Ed. Joseph R. G. DeMarco (Maple Shade, NJ: Lethe Press, 2011). ISBN: 9781590210383. "All in Green," Dimension6, Issue 14, July 2018. "The Angles of Midnight," Zen of the Dead: Stories and Poems, Ed. Lester Smith, Popcorn Press, 2015. See also "The Bones of Home." "Animal Crackers," Misfit Magazine (Misfit Salon), Aug. 26, 2010. 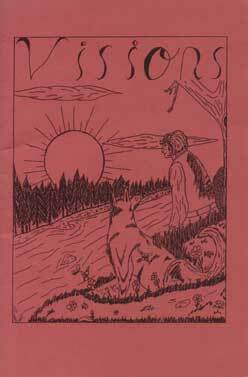 "The Anniversary," fantasque, Summer 2003; reprinted, Tales from the Moonlit Path, Purgatory's Pets Contest, Iss. 8, October 2007. "At Reading Station, Changing Trains," Time Well Bent: Queer Alternative Histories, Ed. Connie Wilkins, Lethe Press, Nov. 2009. "Blanchefleur and Noireau," Chimaera Serials, May 2007. "The Bones of Home," Haunted House Short Stories: Anthology of New & Classic Tales, Ed. Gillian Whitaker (London, UK: Flame Tree Publishing, 2019), ISBN: 9781787552661 (Reprint of sorts: this is a new, shorter version of my story "The Angles of Midnight"). 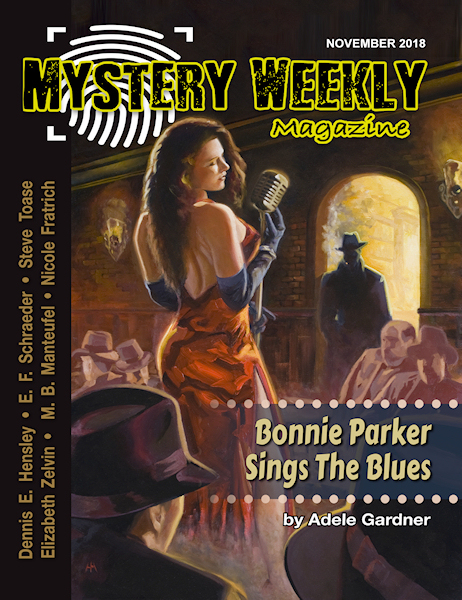 “Bonnie Parker Sings the Blues,” Mystery Weekly Magazine, Nov. 2018. 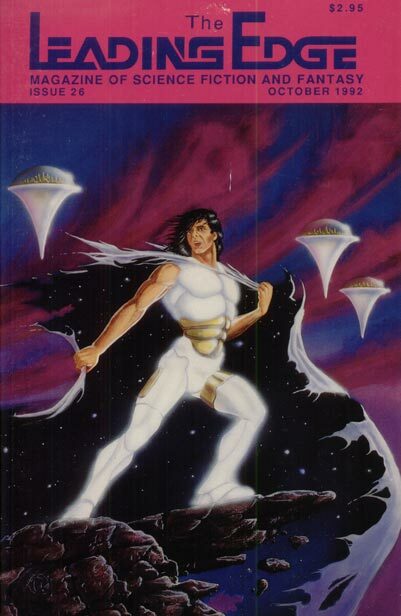 "The Brothers Swann," Blood, Blade & Thruster: The Magazine of Speculative Fiction and Satire, Iss. 3, Fall 2007. 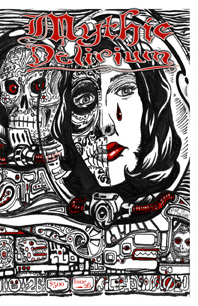 "Devlin," AlienSkin Magazine, Flash Fiction Section, Oct./Nov. 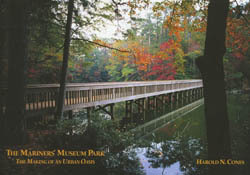 2005 issue. "Fine Flying Things," Twisted Cat Tales, Ed. Esther Schrader, 2006. Read the review by Fred Patten. Audio version: Podcast, Podcastle 260, May 15, 2013. 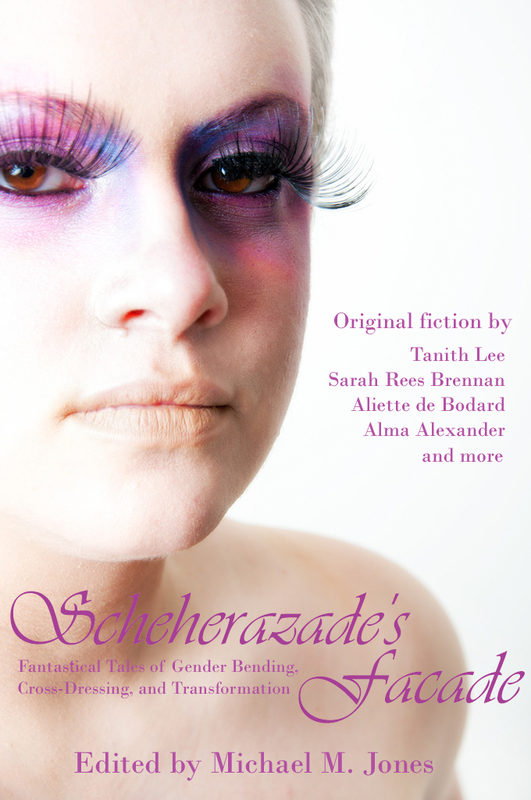 "Going Dark," Scheherazade's Façade, Ed. Michael M. Jones, Circlet Press, 2012. "The Good Son," Deep Waters, Volume 2, Ed. 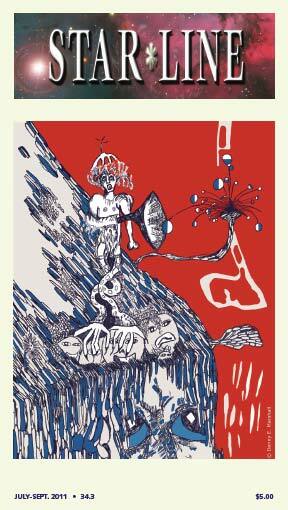 Ashley K. Voris, Golden Fleece Press, 2017. "In Our Boxes," Gothic.net, July 1998; reprinted, Best of the Rest 2, Ed. Brian Youmans, 1999. "In the Garden," Playing with Fire (Third Flatiron Publishing anthology), June 2013. "The Isle of Skye," Visions, Vol. 1, Iss. 2, Spring 1987. 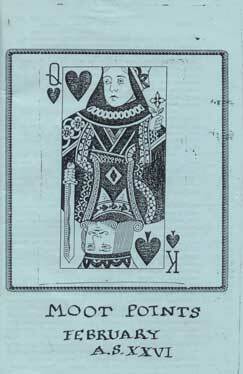 Reprinted in Moonlicht Nicht: The E-Zine of Supernatural Scotland, Ed. William Meikle, Iss. 5, 2003. Reprinted in 31 Days of Halloween Horror: A Shadowfire Press LLC Anthology, Ed. Michael Barnette, Sept. 2010. Reprinted in Niteblade, No. 26: A Fixer-Upper, Dec. 2013. "Kelmscott Manor: In the Attics," Challenging Destiny, No. 25, December 2007. 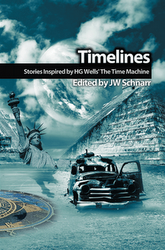 Reprinted in Timelines: Stories Inspired by H.G. 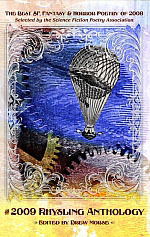 Wells' The Time Machine, Ed. J. W. Schnarr (Canada: Northern Frights Publishing, 2010, ISBN 9780973483734). 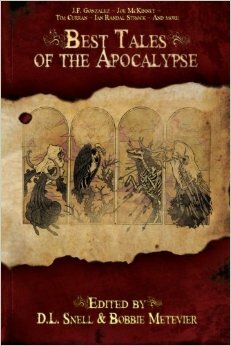 Reprinted in Best Tales of the Apocalypse, Edited by D. L. Snell and Bobbie Metevier, Permuted Press, 2013, ISBN 9781618680785 (print) and 9781618680792 (ebook). "The King's Council," Visions, Vol. 2, Iss. 2, Spring 1988. "Lake Heart," Deep Magic, December 2016. 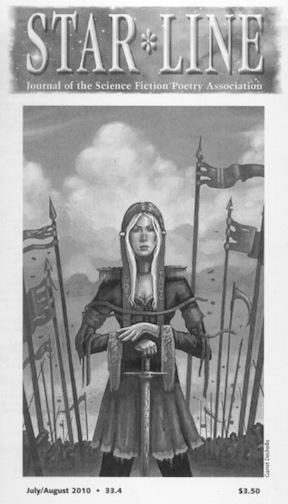 "The Likeness of Her Lord," Legends of the Pendragon, Ed. James Lowder, 2002. "Love Gaia, Live Green," as cover story in Penumbra, April 2012, Vol. 1, Iss. 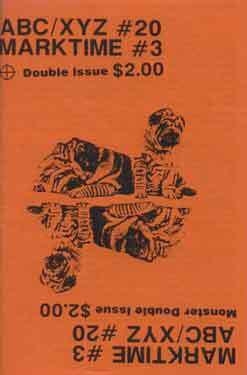 7, Animals Issue. 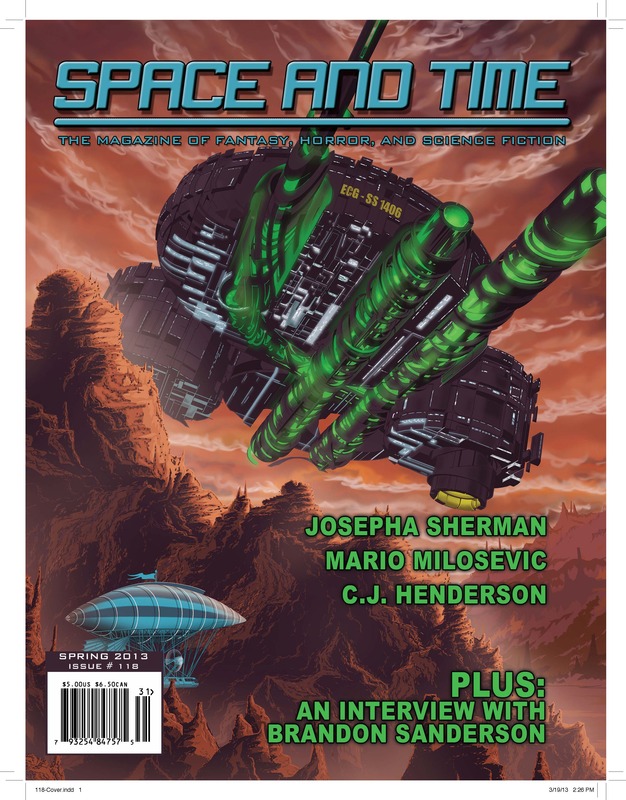 "Memory Is Translucent," The Leading Edge: Magazine of Science Fiction and Fantasy, Iss. 47, April 2004. Podcast, Tales of Old, Issue 79, Feb. 18, 2013. "The Mustache," Retro Spec: Tales of Fantasy and Nostalgia, Ed. Karen A. Romanko (Los Angeles, CA: Raven Electrick Ink, 2010, ISBN 9780981964317). 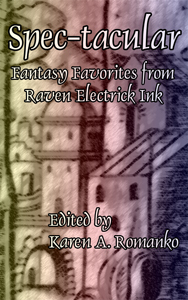 Reprinted, Spec-tacular: Fantasy Favorites from Raven Electrick Ink, Ed. Karen A. Romanko, Raven Electrick Ink, April 24, 2012. "The Mysterious Barricades," Daily Science Fiction, Feb. 25, 2011. 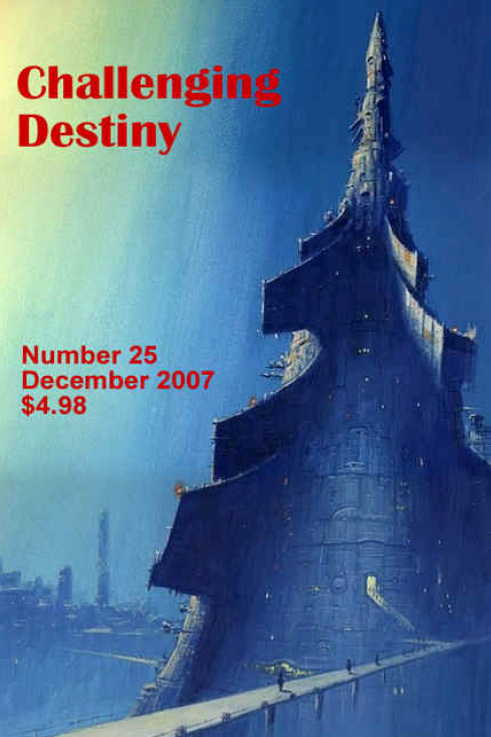 Reprinted, Not Just Rockets and Robots: Daily Science Fiction Year One, PS Publishing, 2012. "Night Birds," Torn Pages, Ed. Brandon H. Bell and Christopher Fletcher, Weird Bard Press, 2015. "Of Silence and Slow Time," F/SF #1, Ed. David Bain, 2005. 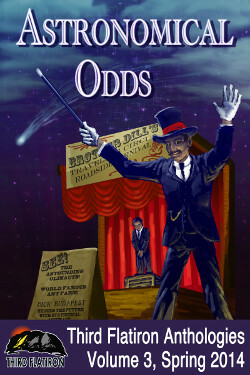 "The Olinauts," Astronomical Odds, Third Flatiron Anthologies, Vol. 3, Spring 2014. 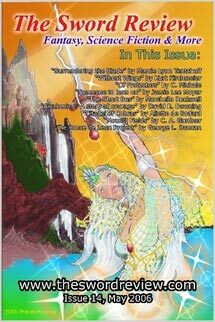 "Paying Tribute," One Step Beyond: Rockin' Tales of the Fantastical, Subatomic Anthology: 01, Ed. Charity Heller Hogge, 2008. "Roland Unsung," Midnight Carnival, Vol. 1, No. 3, Oct. 2000. "The Semantic Time Machine," Traps, DarkHart Press, Ed. Scott T. Goudsward. "The Sidhe," Visions, Vol. 2, Iss. 1, Winter 1988. "Silver as the Night," Whispering Spirits 2008 Flash Fiction Contest Showcase, Aug. 2008. 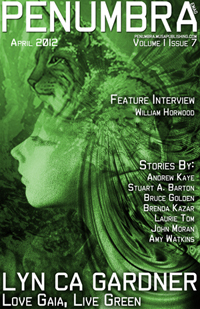 "Single Sight," Worlds of Wonder: A Webzine of Fantasy and SF, Winter 2005. "Soul Cakes," Lost Souls Short Stories, Flame Tree Publishing, 2018, ISBN: 9781786648051. "Tattooed Ladies," Sybil's Garage, Vol. 1, Iss. 2, May 2005. "Three Queens Weeping," The Doom of Camelot, Ed. James Lowder, 2000. “Triptych,” Horror Garage, No. 4, 2001. 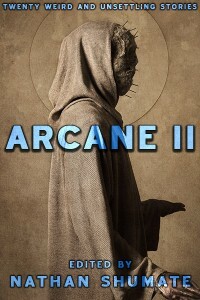 Reprinted in Arcane II: Twenty-One Weird and Unsettling Stories, Ed. Nathan Shumate, Cold Fusion Media, 2013. "What Came After," Naked Snake Online, Sept. 2003. Reprinted in The Hungry Dead, Ed. Lester Smith, Popcorn Press, Dec. 2010. "Wings," Once Upon a World, online edition, 2004-05. "The Witches' Bridge," Virginia Is for Mysteries, Volume II: An Anthology of Mysteries Set in and Around Virginia, by Sisters in Crime, Virginia Chapter, Koehler Books, 2016. "Wolf Call," Ain't Superstitious, Third Flatiron Anthology, Sept. 1, 2015. Includes audio version read by Keely Rew. 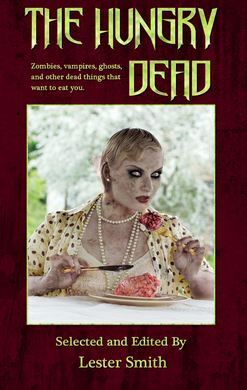 "Zoey Loves Zombies," Less Than Dead, Ed. Samantha M. Derr, Less Than Three Press, 2016. 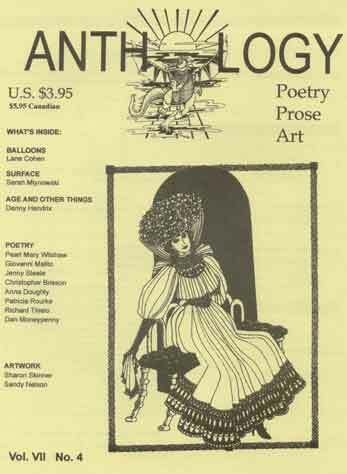 "Afterwards, I Attempt to Return," Magazine of Speculative Poetry, Vol. 8, No. 3, Spring 2008. Audio edition (read by Diane Severson): Poetry Planet (No. 4), "Coming Home," StarShipSofa, Episode No. 208, October 19, 2011, hosted by Diane Severson. "Alabaster," MindFlights, Iss. 10, Oct. 20, 2008. Collected in Dreaming of Days in Astophel by Lyn C. A. Gardner, Sam's Dot Publishing, 2011. "Alas, Poor Hart," The Black Lily, Iss. 10, Spring 2002. "The alchemist works feverishly upon the death of his love." New Myths, Iss. 8, Sept. 1, 2009. "The Aliens Solve Their Energy Crisis," Hungur, Vol. V, No. 2, (10th iss. ), Walpurgisnacht 2010. 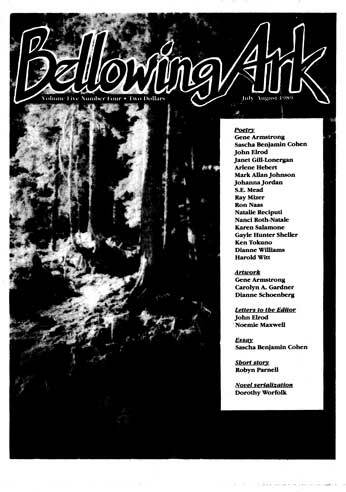 "All the World's Sleep," Bellowing Ark, Vol. 15, No. 5, Sept./Oct. 1999. 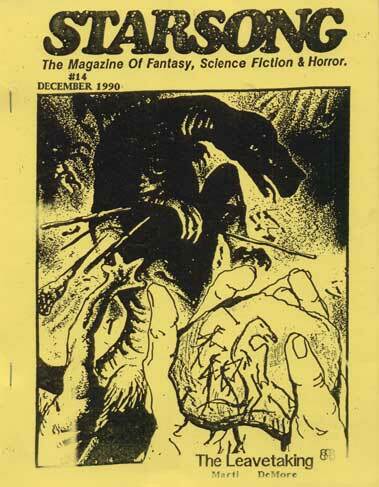 "Another Season," Child of Words: Science Fiction & Fantasy (A Big Pulp Publication), Iss. 1, Mar. 2014. "Any Future (?) Among the Fir Pines," Quickenings, No. 55, 1990. "Anyone's Child," Ideomancer, Vol. 7, Iss. 1, March 2008. "Ariadne," Kaleidoscope, 1998-99. 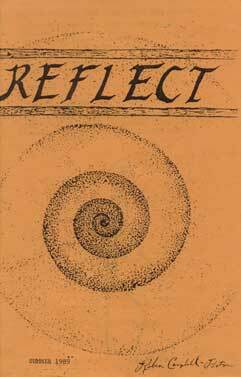 (Second place, Kaleidoscope annual poetry contest, 1998-99.) 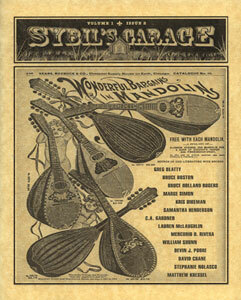 Reprinted in Fickle Muses: An Online Journal of Myth and Legend, July 7, 2013. “Black Cat Spare,” Eternal Haunted Summer, Autumn Equinox 2014, Sept. 22, 2014. “Blind Fire,” Icon, Vol. 34, No. 1, Spring 2000. "Bone," Poe Little Thing, No. 3, June 2005. 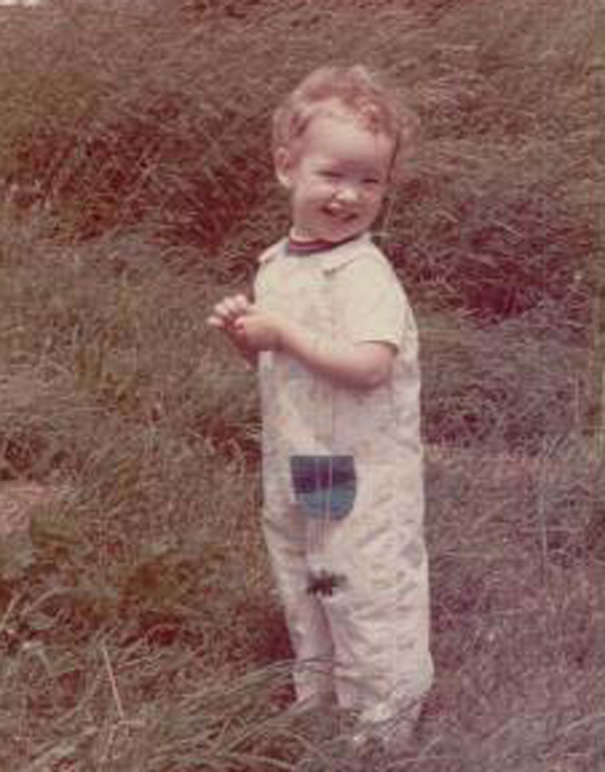 "Boots's Boy," Star*Line: Journal of the Science Fiction and Fantasy Poetry Association, Vol. 39, No. 3, Summer 2016. 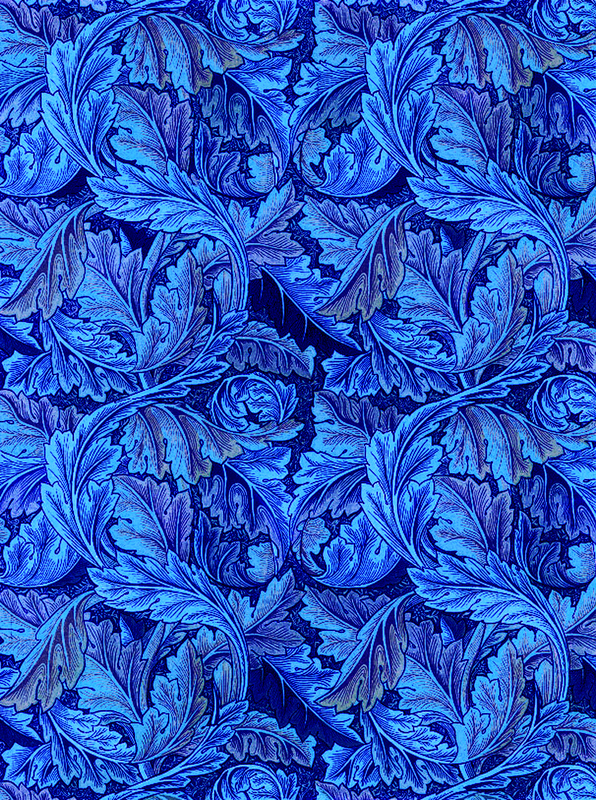 "A Bottle of Blue Glass," NewMyths.com, Issue 32, Sept. 2015. Reprinted in Passages: Best of NewMyths Anthology, Vol. 1, Ed. Scott T. Barnes, Marta Tanrikulu, and Susan Shell Winston (NewMyths Publishing, 2018), ISBN: 9781939354037. "Calendar of Cats," MindFlights, Iss. 25, January 18, 2010. "Chained," Visions, Vol. 2, Iss. 2, Spring 1988. 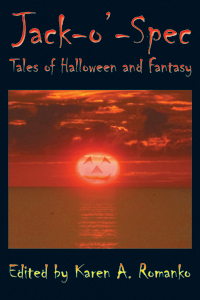 "The Chant of the Black Cats," Jack-o'-Spec: Tales of Halloween and Fantasy, Ed. Karen A. Romanko, Raven Electrick Ink, 2011. Reprinted in The 2012 Rhysling Anthology: The Best Science Fiction, Fantasy, and Horror Poetry of 2011, selected by members of the Science Fiction and Fantasy Poetry Association, Ed. Lyn C. A. Gardner, Science Fiction and Fantasy Poetry Association, 2012. (Nominated in the Long Poem category for the Rhysling Award of the Science Fiction and Fantasy Poetry Association.) Audio edition (read by the author), SFPA 2016 Halloween Poetry Reading, curated by Stace Johnson, Science Fiction and Fantasy Poetry Association, Oct. 2016. 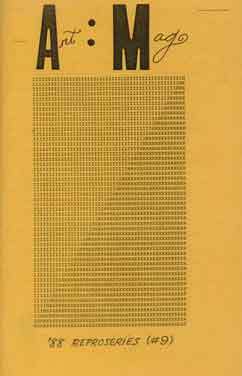 "The Cities: approximately 7 x 7 years later," Omnific, Vol. 1, No. 4, Jan. 1990. Reprinted in DoveTales: Refugees and the Displaced, An International Journal of the Arts (Fort Collins, CO: Writing for Peace), 2017. "Claiming the Cat-Scope," Hazard Cat, Aug. 6, 2010. "The Clone Assassin," Star*Line: Journal of the Science Fiction and Fantasy Poetry Association, Vol. 30, Iss. 6, November/December 2007. 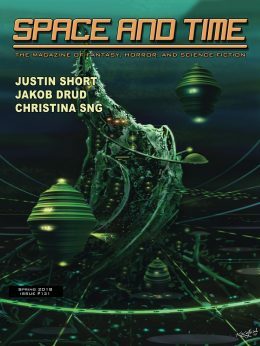 Audio edition (read by Diane Severson): StarShipSofa: The Audio Science Fiction Magazine, Aural Delights No. 102, Sept. 2009. "Code Blue," James Gunn’s Ad Astra, Iss. 3, June 13, 2014. “Code Orange,” James Gunn’s Ad Astra, Iss. 3, June 13, 2014. “Cold Storage #2: Cold Sleep,” Pedestal Magazine, Iss. 79, Dec. 2016. "The Conquest of the Fog," Hob-Nob, Iss. 58, Vol. 24, No. 2, 1992. "Cool Draughts," a handful of stones, Sun., Nov. 18, 2012. "The Cost," Dreaming of Days in Astophel by Lyn C. A. Gardner, Sam's Dot Publishing, 2011. 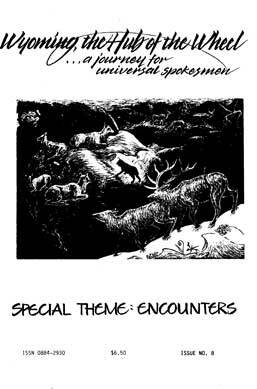 “Courtship,” Prophetic Voices: An International Literary Journal, Vol. 15, 1991. Collected in Dreaming of Days in Astophel by Lyn C. A. Gardner, Sam's Dot Publishing, 2011. "Crow," Bellowing Ark, Vol. 24, No. 2, Mar./Apr. 2008. “Dean’s Cat,” A Quiet Shelter There: An Anthology to Benefit Homeless Animals, Ed. Gerri Leen, Hadley Rille Books, 2015. "Death by Poetry," Songs of Eretz Poetry E-Zine, Vol. 1, Iss. 4, Feb. 2014. Reprinted in Steve Gordon’s Songs of Eretz Poetry Review, Thurs., Apr. 30, 2015. "Death-Chant for R'Diiah," Dreaming of Days in Astophel by Lyn C. A. Gardner, Sam's Dot Publishing, 2011. 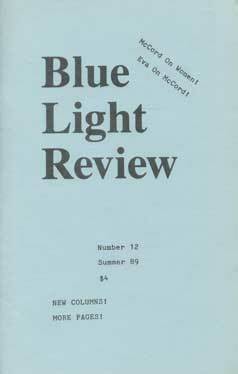 "December Morning, 5 a.m. (Blue Prelude)," Blue Fifth Review, Poetry Special, Dec. 15, 2012, 12.25. 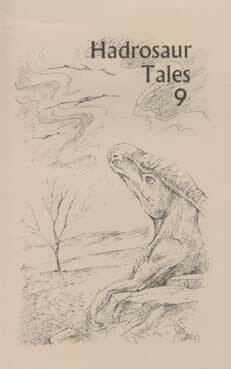 "Die Alone, the Demon Said," Tales of the Talisman, Vol. 9, Iss. 3, Winter 2013/14. Reprinted as Featured Poet in Disturbed Digest: Dark Fantasy and Horror, #17, June 2017, 5th Anniversary Double Issue. "A Different View," tight, Vol. 3, No. 5, 1992. "Dogwood Fall," a handful of stones, Mon., Dec. 3, 2012. "A Dream," American Arts Quarterly, Winter 1992. 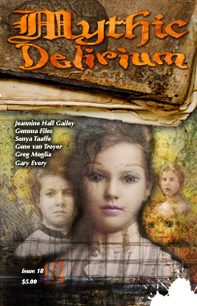 "The Dream Police," Strange Horizons, Feb. 14, 2011. "Dreams of Flying," Bibliophilos, Vol. 7, No. 2, Poetry 2002. 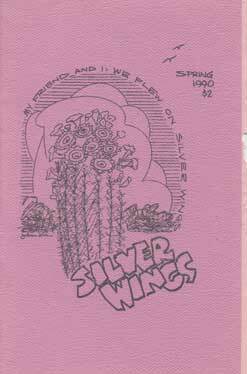 "Easter," Silver Wings, Vol. 8, No. 2, Spring 1990. 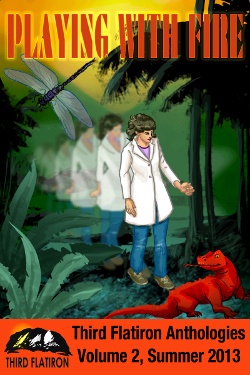 “Elaine,” Hadrosaur Tales, Vol. 9, 2000. Collected in Dreaming of Days in Astophel by Lyn C. A. Gardner, Sam's Dot Publishing, 2011. "Eleventh Hour," Silver Blade Magazine, Iss. 9, Winter 2011. 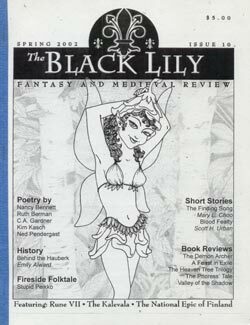 "Emily Dickinson, Time Traveler," Space and Time: The Magazine of Fantasy, Horror, and Science Fiction, Spring 2018, Issue #131. "Escape Pod," NewMyths.com, Iss. 8, Sept. 1, 2009. Reprinted in Outposts of Beyond, Jan. 2017. 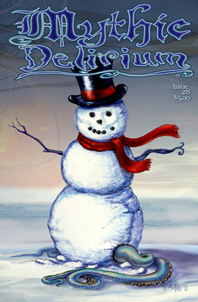 "Eureka," Mythic Delirium 24, Winter/Spring 2011. Reprinted in Dark Metre, Iss. 18, Jan. 6, 2013. "Everything and I," Silver Blade Magazine, Iss. 23, Aug. 2014. "Fanning Gulls," Bellowing Ark, Vol. 15, No. 5, Sept./Oct. 1999. "Field," a handful of stones, Oct. 25, 2012. “The Final Ploy,” Eldritch Science, No. 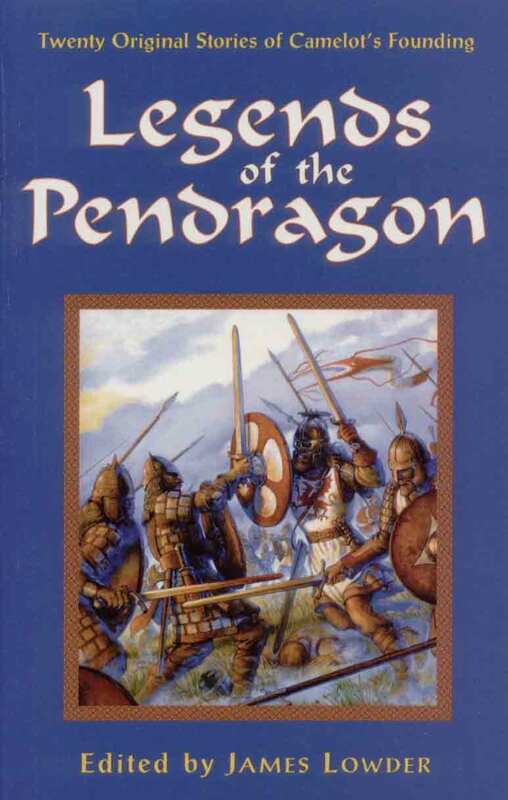 3, Feb. 1989; reprinted, Nod-y-Rit, Feb./Mar. 1992. Collected in Dreaming of Days in Astophel by Lyn C. A. Gardner, Sam's Dot Publishing, 2011. 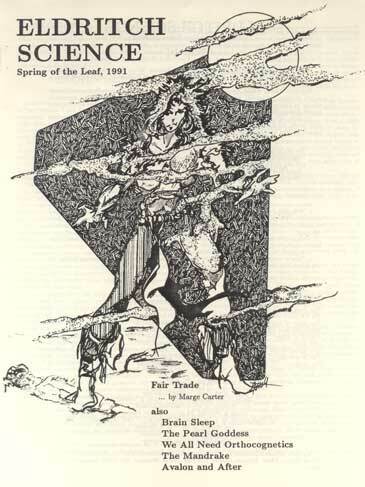 “Fionnula,” The Leading Edge: Magazine of Science Fiction and Fantasy, No. 26, Sept. 1992. Collected in Dreaming of Days in Astophel by Lyn C. A. Gardner, Sam's Dot Publishing, 2011. "From the Cavalier to Her Swain," Collective Fallout, Vol. 4, Nos. 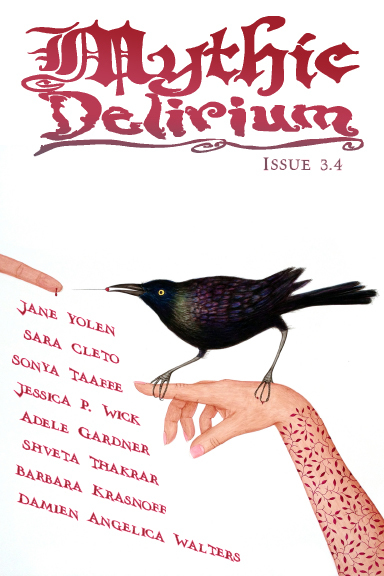 1-2, Queer Speculative Literature, Combined Issue, Winter & Summer 2012. "Fusion Drive," Basement Stories, Iss. 3, Jan. 2011. “Gateway,” Orphic Lute, Winter 1988-89. 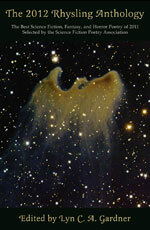 "Ghost," Halloween Haiku II and Other Hauntings, Ed. Lester Smith, Popcorn Press, 2014. 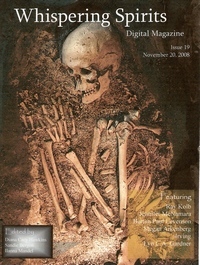 "Ghost Fleet," Whispering Spirits Digital Magazine, No. 19, Iss. 2, Nov. 2008. Collected in Dreaming of Days in Astophel by Lyn C. A. Gardner, Sam's Dot Publishing, 2011. 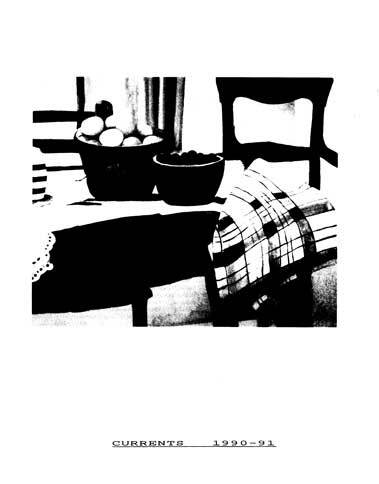 "Ghost in my closet," Scifaikuest: A Magazine of Minimalist Poetry, Nov. 2011, print ed., Vol. IX, No. 2. 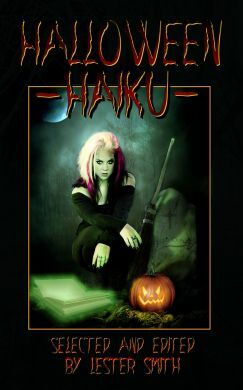 Reprinted in Halloween Haiku II and Other Hauntings, Ed. Lester Smith, Popcorn Press, 2014. 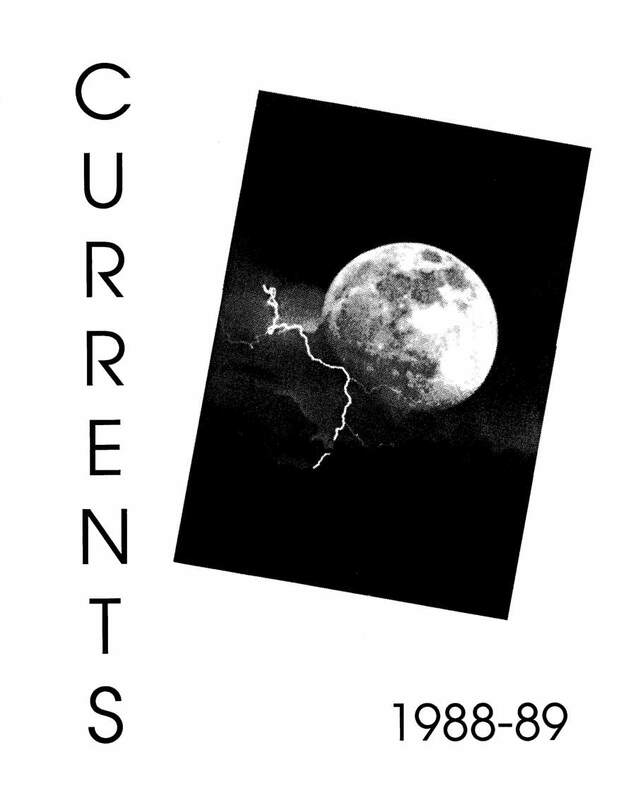 "The Gift," Currents, 1988-89. Reprinted in DoveTales: Refugees and the Displaced, An International Journal of the Arts (Fort Collins, CO: Writing for Peace), 2017. “The Girl and the Gulls,” Anthology: Poetry, Prose, Art, Vol. 7, No. 4, 2000. "Godolin's Remains," Contemporary Rhyme, Vol. 3, No. 2, Spring 2006. Reprinted in The Hungry Dead, Ed. Lester Smith, Popcorn Press, Dec. 2010. Collected in Dreaming of Days in Astophel by Lyn C. A. Gardner, Sam's Dot Publishing, 2011. 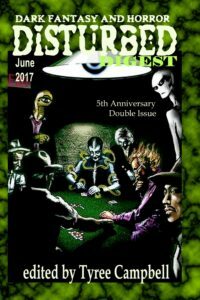 Reprinted as Featured Poet in Disturbed Digest: Dark Fantasy and Horror, #17, June 2017, 5th Anniversary Double Issue. "God's Cat," Sybil's Garage No. 6, May 2009. Playlist for SG6. 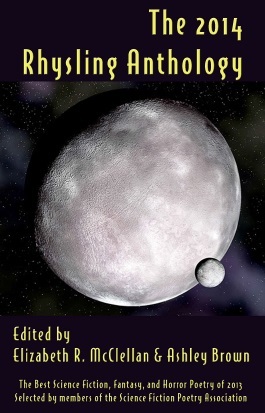 Reprinted in The 2010 Rhysling Anthology: The Best Science Fiction, Fantasy and Horror Poetry of 2009, Ed. Jaime Lee Moyer, Science Fiction and Fantasy Poetry Association, 2010. (Nominated in the Short Poem Category for the Rhysling Award of the Science Fiction and Fantasy Poetry Association.) Audio format, StarShipSofa No. 423, Kary English, Feb. 17, 2016, Poetry Planet No. 16: Animals & Creatures, hosted by Diane Severson. "The Golden Age," Abyss & Apex, Iss. 21, 1st Quarter 2007. 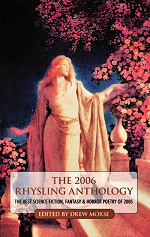 Reprinted in The 2008 Rhysling Anthology: The Best SF, Fantasy and Horror Poetry of 2007, , Ed. Drew Morse, Science Fiction and Fantasy Poetry Association, 2008. (Nominated in the Short Poem Category for the Rhysling Award of the Science Fiction and Fantasy Poetry Association.) Collected in Dreaming of Days in Astophel by Lyn C. A. Gardner, Sam's Dot Publishing, 2011. "Gone the Sun," Tapestry, Iss. 9 & 10, Apr. 2006. "Grant Proposal," Mythic Delirium, Iss. 26, Winter/Spring 2012. Reprinted in Eye to the Telescope, Iss. 13, July 2014, Science Poems Issue. 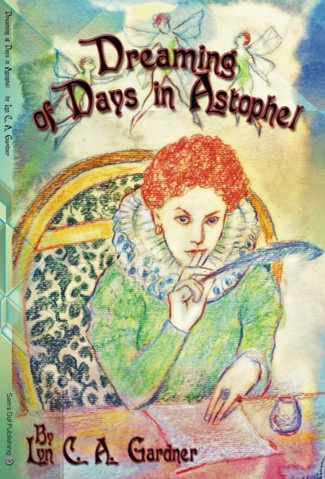 "Gravitas," Dreaming of Days in Astophel by Lyn C. A. Gardner, Sam's Dot Publishing, 2011. “Green,” Talebones: A Magazine of Science Fiction and Dark Fantasy, No. 18, Winter 2000. Collected in Dreaming of Days in Astophel by Lyn C. A. Gardner, Sam's Dot Publishing, 2011. "Green Likening to Last-Day Storms," Reflect, Vol. 10, No. 1, Summer 1989. 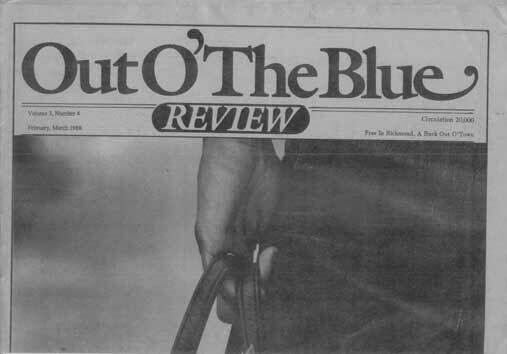 "Grip," Blue Collar Review: Journal of Progressive Working Class Literature, Vol. 21, Iss. 2, Winter 2017-18. 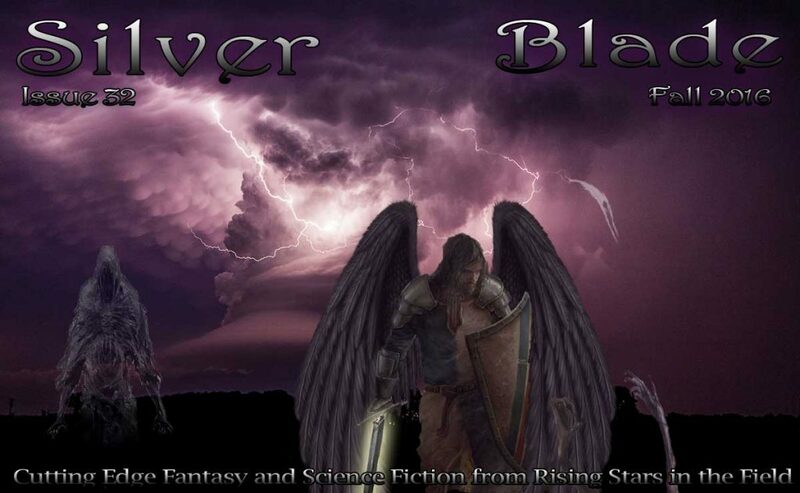 “Guenever’s Choice,” The Black Lily, Iss. 10, Spring 2002. Collected in Dreaming of Days in Astophel by Lyn C. A. Gardner, Sam's Dot Publishing, 2011. "Halloween fog glows," Halloween Haiku, Ed. Lester Smith, Popcorn Press, 2011. 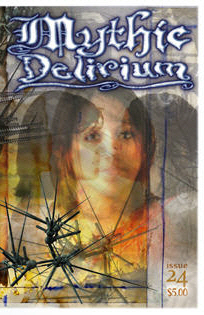 "Haunt Me," Mythic Delirium, Iss. 3.4, Apr.-June 2017. "Heliolatry," Eternal Haunted Summer, Winter Solstice 2014 (Dec. 20, 2014). 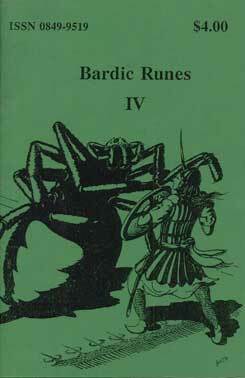 "The Hero Fergus," Bardic Runes, Vol. 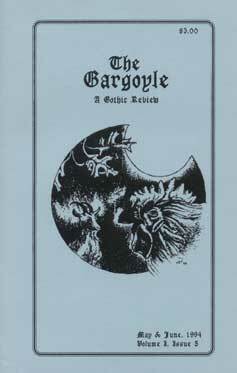 7, 1993; The Gargoyle: A Gothic Review, Vol. 1, No.5, May/June, 1994. Collected in Dreaming of Days in Astophel by Lyn C. A. Gardner, Sam's Dot Publishing, 2011. 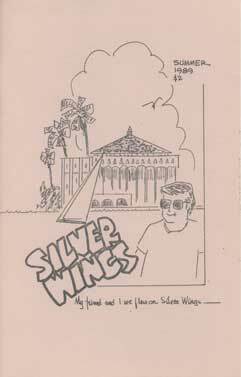 "Higher Than the Gulls," Silver Wings, Summer 1989. 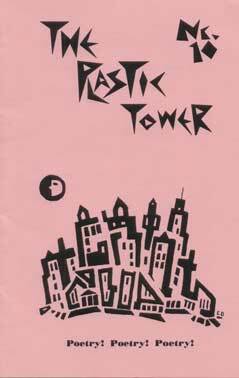 “His Last Day in the City,” The Plastic Tower, No. 10, Mar. 1992. "Holding Faerie," Aoife's Kiss, Vol. 6, No. 2, Sept. 2007. Reprinted in Wondrous Web Worlds 8, Ed. J. Alan Erwine, Sam's Dot Publishing, June 2009. Collected in Dreaming of Days in Astophel by Lyn C. A. Gardner, Sam's Dot Publishing, 2011. "Home," Mythic Delirium, Iss. 26, Winter/Spring 2012. 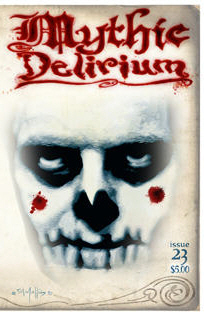 "Homecoming," MindFlights, Halloween issue, October 30, 2010. 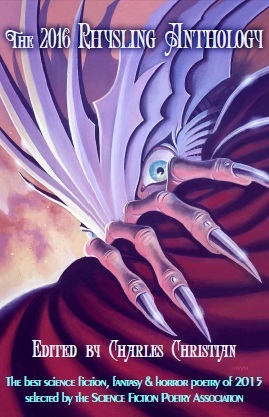 Reprinted in The 2011 Rhysling Anthology: The Best SF, Fantasy, and Horror Poetry of 2010, Ed. David Lunde, Science Fiction and Fantasy Poetry Association in cooperation with Raven Electrick Ink, 2011. (Nominated in the Long Poem Category for the Rhysling Award of the Science Fiction and Fantasy Poetry Association.) Audio format (read by the author), SFPA 2013 Halloween Poetry Reading, Science Fiction and Fantasy Poetry Association, 2013. 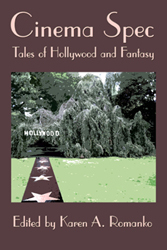 "House 5," Cinema Spec: Tales of Hollywood and Fantasy, Ed. Karen A. Romanko, Raven Electrick Ink, 2009. Audio version (read by the author), SFPA 2010 Halloween Poetry Reading, Science Fiction and Fantasy Poetry Association, Oct. 2010. Reprinted in Niteblade, No. 26: A Fixer-Upper, a special ghostly issue of Niteblade Fantasy and Horror Magazine, Dec. 2013. 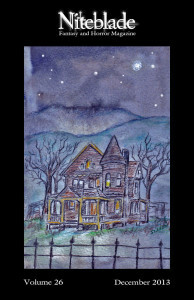 "House of Dreams," The Cape Rock: A Gathering of Poets, Vol. 34, No. 2, Spring 2002. "Hymn" (search "Gardner"), Indigo Rising Magazine, Mar. 22, 2011, Contest Edition (Surreal Minimalist Poetry Contest). 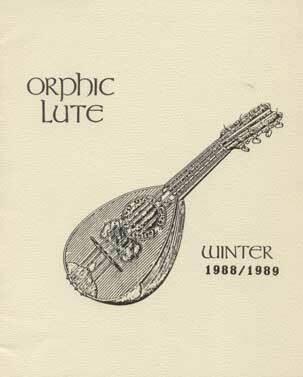 "I Have Seen Too Much," Orphic Lute, Winter 1988-89. 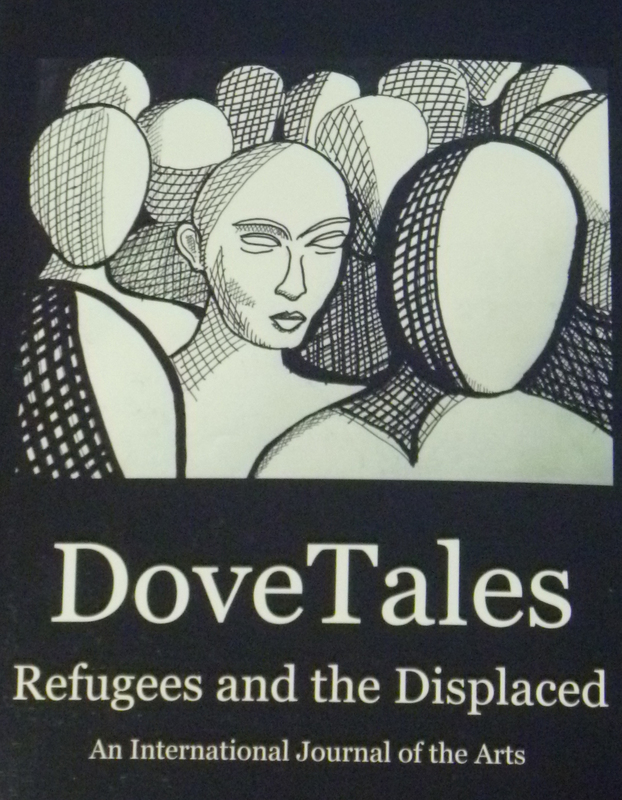 Reprinted in DoveTales: Refugees and the Displaced, An International Journal of the Arts (Fort Collins, CO: Writing for Peace), 2017. 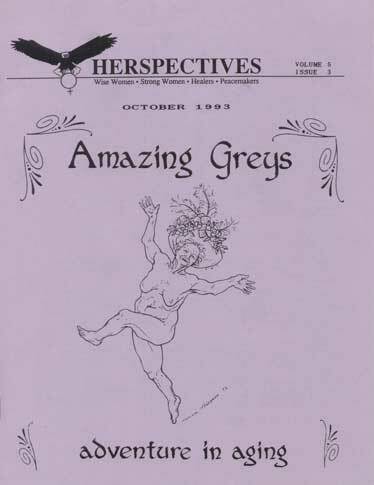 "I Sing Ophelia," Full Unit Hookup: A Magazine of Exceptional Literature, Iss. 9, Spring 2008. Collected in Dreaming of Days in Astophel by Lyn C. A. Gardner, Sam's Dot Publishing, 2011. Reprinted as Featured Poet in Disturbed Digest: Dark Fantasy and Horror, #17, June 2017, 5th Anniversary Double Issue. "If I Were a Harper," Nod-y-Rit, July/Aug. 1993. "If Wishes Were Horses," California Quarterly: California State Poetry Society, Vol. 43, No. 4, 2017. “In Fallen Astophel,” Nod-y-Rit, May-June 1992. Reprinted in The Black Lily, Iss. 10, Spring 2002. Collected in Dreaming of Days in Astophel by Lyn C. A. Gardner, Sam's Dot Publishing, 2011. 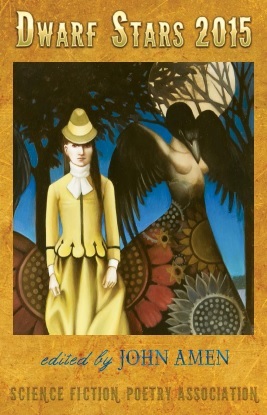 "In Moon-Darkness," Dreaming of Days in Astophel by Lyn C. A. Gardner, Sam's Dot Publishing, 2011. "In the Grasp of the Wind," Visions, Vol. 2, Iss. 2, Spring 1988. "In Translation," Tales of the Talisman, Vol. 7, No. 1, Summer 2011. Reprinted in The 2012 Rhysling Anthology: The Best Science Fiction, Fantasy, and Horror Poetry of 2011, selected by members of the Science Fiction and Fantasy Poetry Association, Ed. Lyn C. A. Gardner, Science Fiction and Fantasy Poetry Association, 2012. (Won third place in the Short Poem Category for the Rhysling Award of the Science Fiction and Fantasy Poetry Association.) 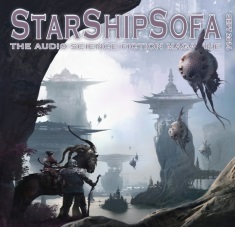 Audio version, StarShipSofa, No. 256 (Charlie Jane Anders episode), Sept. 19, 2012, 2012 Rhysling Award Showcase, Poetry Planet, hosted by Diane Severson. 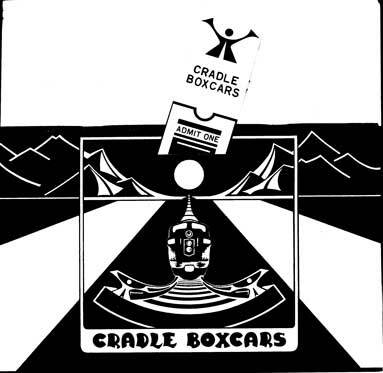 "Internal Conflicts," Cradle Boxcars, 1993. 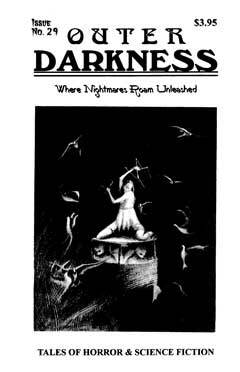 "Irene's Tomb," Outer Darkness: Where Nightmares Roam Unleashed, Iss. 29, Spring 2004. Collected in Dreaming of Days in Astophel by Lyn C. A. Gardner, Sam's Dot Publishing, 2011. "Iron Woman," Blue Collar Review: Journal of Progressive Working Class Literature, Vol. 21, Iss. 1, Fall 2017. "A Keepsake Box for Poe," Penumbra, Oct. 2012, Vol. II, Iss. 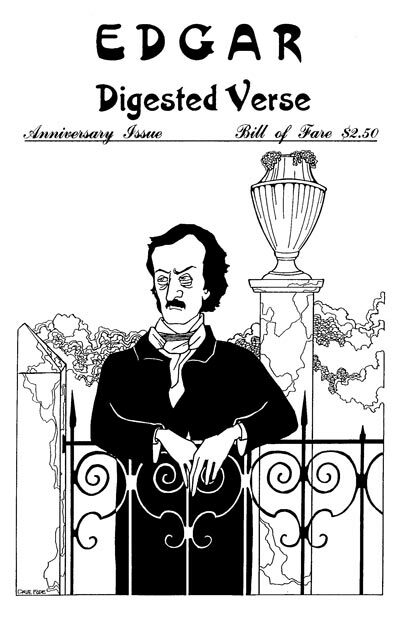 I, Edgar Allan Poe issue. 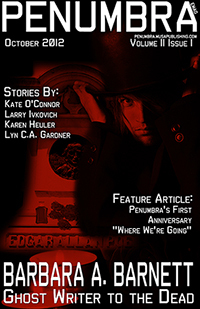 Reprinted as Featured Poet in Disturbed Digest: Dark Fantasy and Horror, #17, June 2017, 5th Anniversary Double Issue. "Kinship," Hoofprints in the Wildwood: A Devotional for the Horned Lord, Ed. 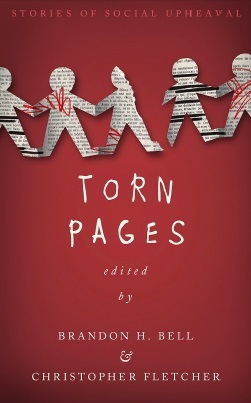 Richard Derks, Gullinbursti Press, 2011. 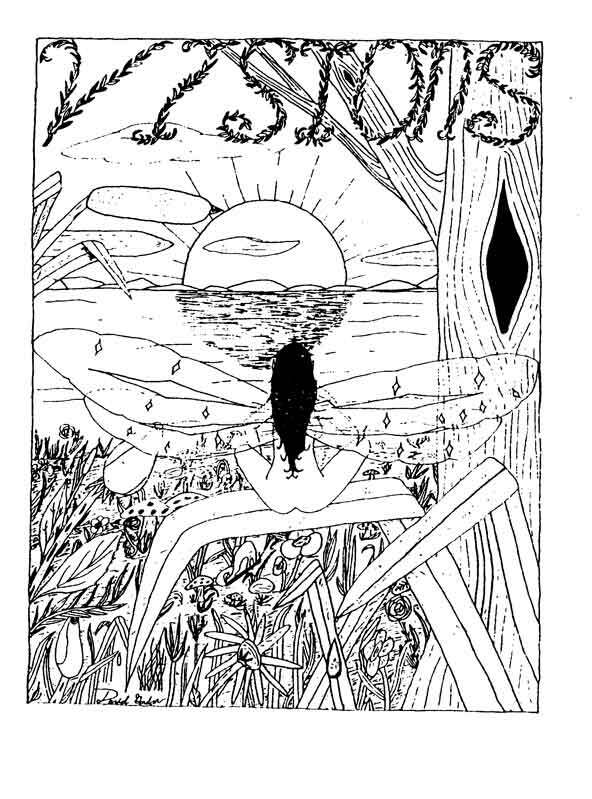 "The Lake at Evening," Blueline: A Literary Magazine Dedicated to the Spirit of the Adirondacks, Vol. XXXVII, 2016. 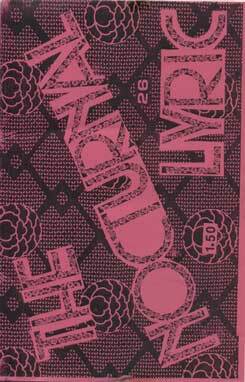 "Lament for Lanis-Doon," Illumen, Autumn 2008. Collected in Dreaming of Days in Astophel by Lyn C. A. Gardner, Sam's Dot Publishing, 2011. "Last Day at Seventeen," Quickenings, No. 56, 1990. 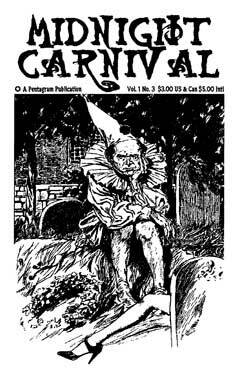 "Late," Raven Poetrick (a publication of Raven Electrick: Tales of Fantasy, Science Fiction, Horror and Mystery), Halloween Contest Issue (Runner-Up), October 2001. Reprinted in The Hungry Dead, Ed. Lester Smith, Popcorn Press, Dec. 2010. Audio edition (read by the author), SFPA 2006 Halloween Poetry Reading, Science Fiction and Fantasy Poetry Association, Oct. 2006. 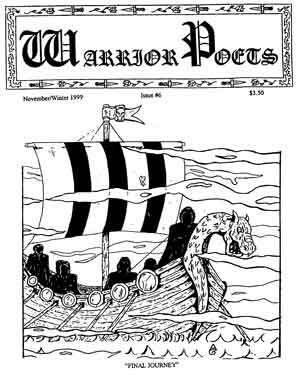 "Left in Lance's Box," Warrior Poets: The Magazine of Medieval Poetry, No. 6, Nov./Winter 1999. Collected in Dreaming of Days in Astophel by Lyn C. A. Gardner, Sam's Dot Publishing, 2011. 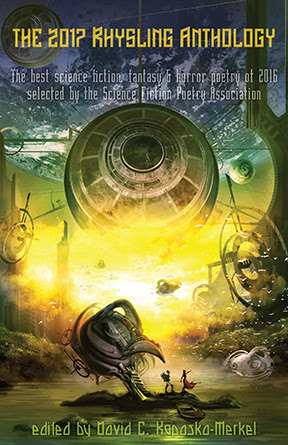 "Letting Go," Abyss & Apex: Magazine of Speculative Fiction, Iss. 44, 4th Quarter 2012. "Life Cycle," Unknowns, Vol. 15, No. 4, Winter 1988. "Lifted," Polu Texni, A Magazine of Many Arts, September 24, 2018. "Little Red Dress," City Primeval: Narratives of Urban Poetry, Vol. 4, No. 4, July 1999. "Live, Laugh, Love, Loop," Silver Blade, Issue 39, Summer 2018; includes audio edition read by the author. "Love upon the Wind," Paper Crow, Vol. 1, Iss. 2, Fall/Winter 2010. 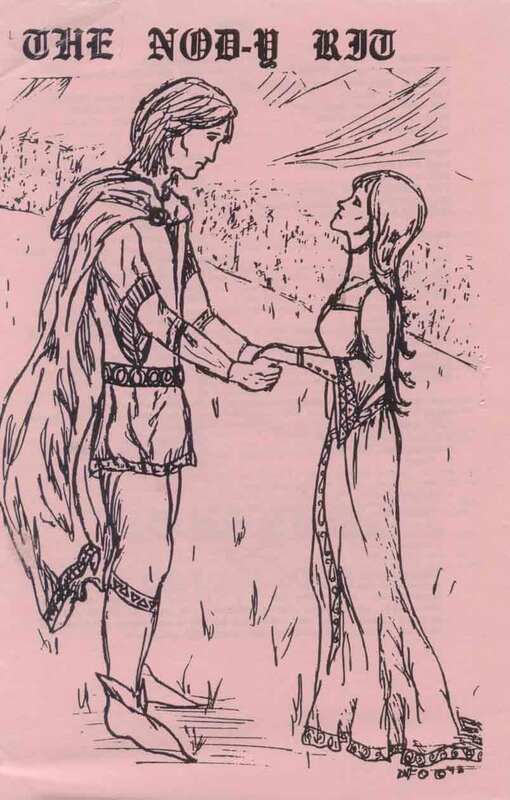 "The Maid's Farewell to Lord Thorbjorn," Forms of Fancy, an annual publication of Moot Points, Nov. 1992. "The Man Trap," Star*Line, Vol. 34, No. 3, July-Sept. 2011. Reprinted in Eye to the Telescope: The Science Fiction and Fantasy Poetry Association Online Journal of Speculative Poetry, Iss. 26, Oct. 2017, Evolving Gender, Ed. Sandra J. Lindow. 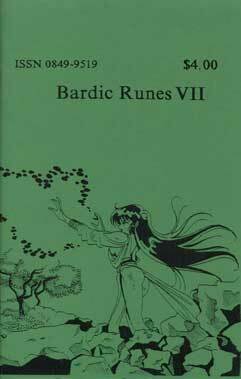 "The Marvelous Irai," Bardic Runes, Vol. 4, 1991. "Measuring," Andromeda Spaceways Magazine, Issue 73, December 2018. 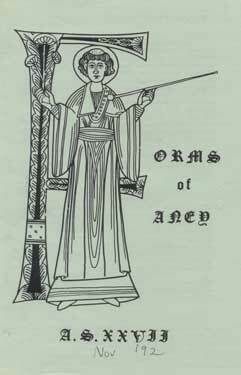 "Merlin," Bardic Runes, Vol. 4, 1991. 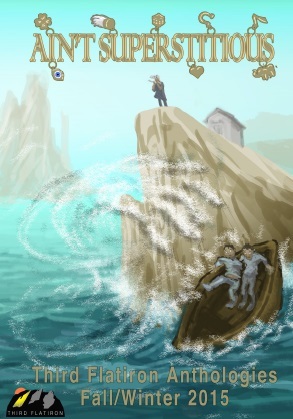 "Merlin at Sea," Tales of the Talisman, Vol. V, Iss. 1, Summer 2009. 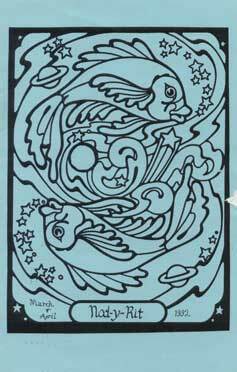 "Mermaid," Full Unit Hookup: A Magazine of Exceptional Literature, Iss. 9, Spring 2008. 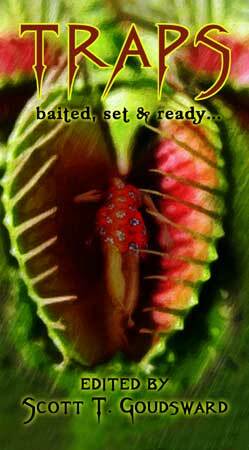 Reprinted in Fickle Muses: An Online Journal of Myth and Legend, July 7, 2013. Collected in Dreaming of Days in Astophel by Lyn C. A. Gardner, Sam's Dot Publishing, 2011. "Messenger Bike" Paper Crow, Vol. 1, Iss. 1, Spring/Summer 2010. 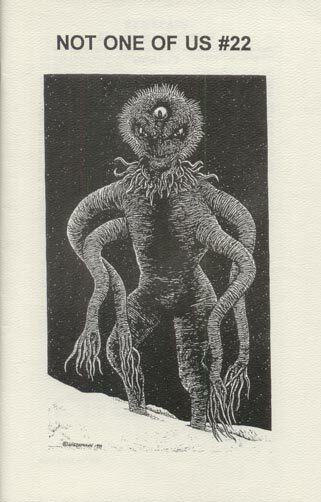 "Midnight Posture," Mythic Delirium, Iss. 23, Summer/Fall 2010. 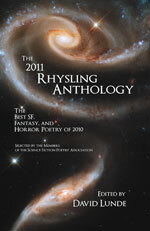 Reprinted in The 2011 Rhysling Anthology: The Best SF, Fantasy, and Horror Poetry of 2010, Ed. 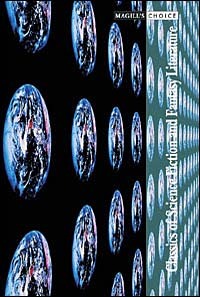 David Lunde, Science Fiction and Fantasy Poetry Association in cooperation with Raven Electrick Ink, 2011. (Nominated in the Short Poem Category for the Rhysling Award of the Science Fiction and Fantasy Poetry Association.). 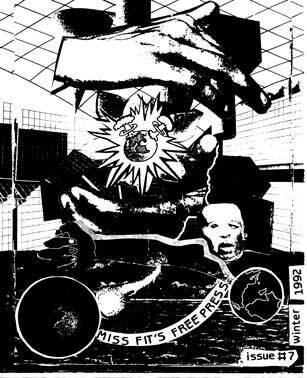 "The Mind Behind the Eye," Miss Fit's Free Press, No. 7, Winter 1992. "The Minstrel," Herspectives, Vol. 3, Iss. 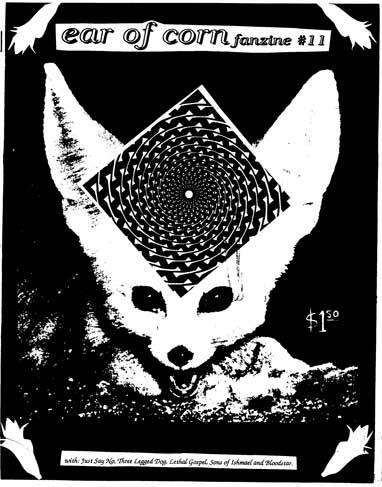 3, Oct. 1991, and Vol. 5, Iss. 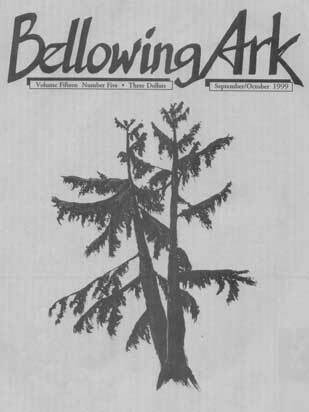 3, Oct. 1993 (first appearance had a typo; editors found the error and volunteered to reprint the piece). “The Minstrel’s Song,” Starsong, No. 14, Dec. 1990. Collected in Dreaming of Days in Astophel by Lyn C. A. Gardner, Sam's Dot Publishing, 2011. “The Misty Glade,” Red Owl, No. 11, July 2000. Collected in Dreaming of Days in Astophel by Lyn C. A. Gardner, Sam's Dot Publishing, 2011. "The Moon Above," Eternal Haunted Summer, Winter Solstice 2012 (Dec. 21, 2012). "Moonlit Fields," The Sword Review, Iss. 14, May 26, 2006. 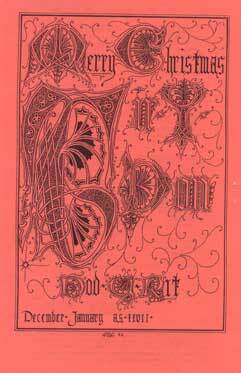 Reprinted in Dwarf Stars 2007: The Best Speculative Poems of Ten Lines or Less from 2006, Ed. Deborah P. Kolodji and Stephen M. Wilson, Science Fiction and Fantasy Poetry Association, 2007. "Morning," Death Rattle: A Magazine of Dark Fiction, Iss. 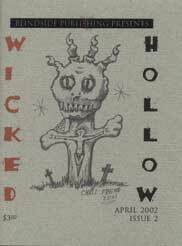 1, Fall 2010, Halloween issue, Evil Cat Press. 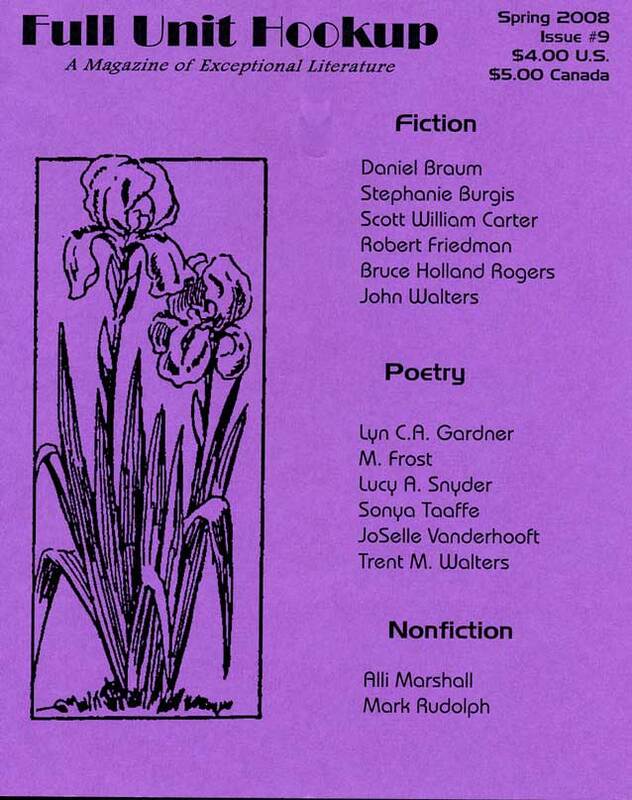 Reprinted in Lupine Lunes: Horror Poems & Short Stories, Ed. Lester Smith, Popcorn Press, 2016. "The Moth Spectacular," Bluff & Vine: A Literary Review, Issue Two, Fall 2018. "My Delight," tight, Vol. 3, No. 5, 1992. "My Old Peace," Eternal Haunted Summer, Spring Equinox 2013. "My Ship Is Going Home," Visions, Vol. 1, Iss. 2, Spring 1987. "My Superwoman," Devilfish Review, Iss. 17, Aug. 2016. "Myself on Solitude," Reflect, Vol. 9, No. 4, Spring 1989. “A Natural View,” American Arts Quarterly, Vol. 8, No. 2, Spring 1991. "Non est locus istis hominibus in hac terra," Twilight Times Ezine, Oct./Nov. 2009. “Not Today,” Blood and Thunder: Musings on the Art of Medicine, The University of Oklahoma, College of Medicine, Fall 2016. "Oblivion's Queen," Penumbra, Vol. I, Iss. 11, Aug. 2012. 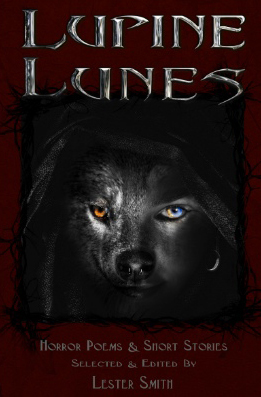 “October Moon Glares,” Lupine Lunes: Horror Poems & Short Stories, Ed. Lester Smith, Popcorn Press, 2016. "On the Dark Sea," The Sounds of Poetry, Vol. 6, No. 30, Apr.-June 1989. "The Open Door," The Cape Rock, Vol. 45, No. 2, Fall 2017. "The Order," Out o' the Blue Review, Vol. 3, No. 4, Feb./Mar. 1988. "Our Lady of Darkness," Wicked Hollow, Iss. 2, April 2002. Audio edition (read by the author), SFPA 2007 Halloween Poetry Reading, Science Fiction and Fantasy Poetry Association, Oct. 2007. Collected in Dreaming of Days in Astophel by Lyn C. A. Gardner, Sam's Dot Publishing, 2011. "Passing," Halloween Haiku, Ed. Lester Smith, Popcorn Press, 2011. "The Path of Man and Nature," Thanatopsis Wings, Mar. 1988. "The Peasant Boy," Visions, Vol. 1, Iss. 2, Spring 1987. Reprinted in Nod-y-Rit, Feb./Mar. 1992. Collected in Dreaming of Days in Astophel by Lyn C. A. Gardner, Sam's Dot Publishing, 2011. "Peelings," Scifaikuest, Aug. 2016, online ed., 14th Anniv. Iss. "The Perfect Match," Sonnet Writers, Vol. 1, 2006 (published online Dec. 13, 2006, and in print Oct. 2007). 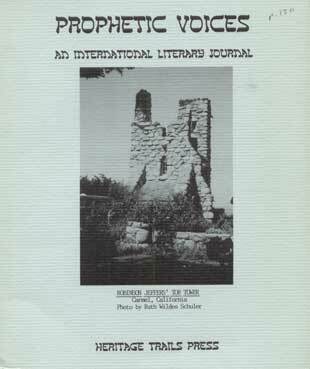 Reprinted in Fickle Muses: An Online Journal of Myth and Legend, July 7, 2013. 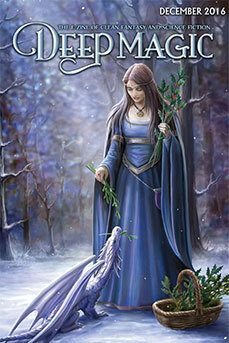 "The Pilgrimage," Dreaming of Days in Astophel by Lyn C. A. Gardner, Sam's Dot Publishing, 2011. “Poe’s Prophets,” Star*Line, Vol. 37, Iss. 2, Spring 2014. "Poets," Ear of Corn, No. 11, 1990. 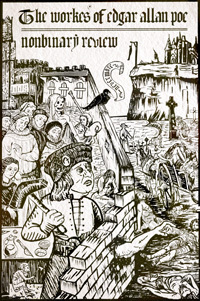 “The Queen’s Revenge,” Edgar: Digested Verse, Vol. 2, No. 1, Winter 2000. Collected in Dreaming of Days in Astophel by Lyn C. A. Gardner, Sam's Dot Publishing, 2011. "Red moon horizon," Halloween Haiku, Ed. Lester Smith, Popcorn Press, 2011. "Refreshment from Beyond the City's Grasp," Bellowing Ark, Vol. 24, No. 2, Mar./Apr. 2008. 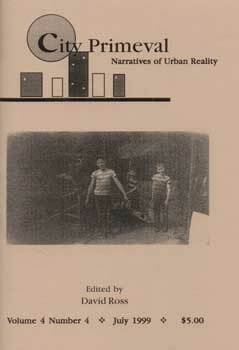 Reprinted in "Destination Home," with editor Meagan Dye's introduction to the Status Hat Cities issue, features Adele (as Lyn C. A. Gardner) & her father, their two poems "Refreshment from Beyond the City's Grasp" by Lyn C. A. Gardner and "Scenes in an Airport" by Delbert R. Gardner, and a biographical statement in Editor's Note Regarding Gardner Poetry, all published in Status Hat, Cities issue, Mar. 2011. 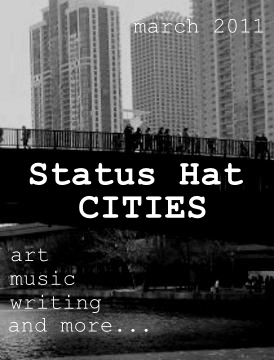 The Status Hat Cities issue is no longer available online; however, the Gardner content is available here, and there's a brief post about it on the Status Hat Productions Facebook page: Poetry Moment: Destination Home, Mar. 9, 2011. Audio version: podcast, StarShipSofa, Show No. 245, Seanan McGuire, Poetry Planet, No. 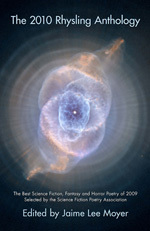 6: "Moon Imaginings," Wed., July 4, 2012, hosted by Diane Severson. "Resistance," Orphic Lute, Vol. 40, No. 1, Spring 1990. 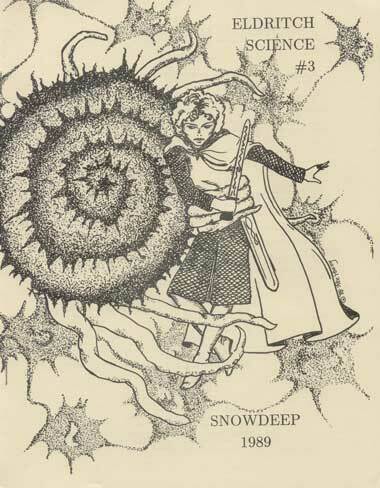 "The Return," Eldritch Science, Snowsprinkle (Dec.) 1989. Collected in Dreaming of Days in Astophel by Lyn C. A. Gardner, Sam's Dot Publishing, 2011. “Riding to Faery,” Mythic Delirium, Iss. 6, Winter/Spring 2002. 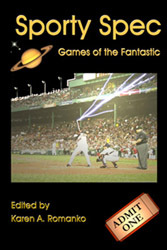 Reprinted in Sporty Spec: Games of the Fantastic, Ed. Karen A. Romanko, Raven Electrick Ink, 2007. Collected in Dreaming of Days in Astophel by Lyn C. A. Gardner, Sam's Dot Publishing, 2011. "Rildix Falls," Contemporary Rhyme, Vol. 2, No. 1, Winter 2005. 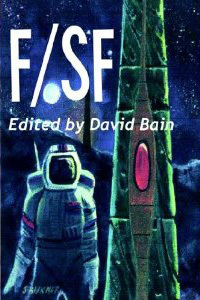 Reprinted in The 2006 Rhysling Anthology: The Best SF, Fantasy and Horror Poetry of 2005, Ed. Drew Morse, Science Fiction and Fantasy Poetry Association, 2006. (Nominated in the Long Poem Category for the Rhysling Award of the Science Fiction and Fantasy Poetry Association.) Reprinted in The Hungry Dead, Ed. Lester Smith, Popcorn Press, Dec. 2010. Collected in Dreaming of Days in Astophel by Lyn C. A. Gardner, Sam's Dot Publishing, 2011. Audio edition (read by the author), SFPA 2009 Halloween Poetry Reading, Science Fiction and Fantasy Poetry Association, Oct. 2009. “Saeve’s Doom,” Bardic Runes, Vol. 7, 1993. Collected in Dreaming of Days in Astophel by Lyn C. A. Gardner, Sam's Dot Publishing, 2011. "Safe in Their Cryogenic Chambers," Raven Poetrick, Raven Electrick: Tales of Fantasy, Science Fiction, Horror and Mystery, Mar. 2007. Audio edition (read by Diane Severson), StarShipSofa podcast, Aural Delights, No. 112, Dec. 9, 2009. "Salvaging the Monitor," Cider Press Review, Vol. 8, 2007. Reprinted in The Hungry Dead, Ed. Lester Smith, Popcorn Press, Dec. 2010. Audio edition (read by Diane Severson), Poetry Planet, No. 4, "Coming Home," StarShipSofa, Episode No. 208, Oct. 19, 2011, hosted by Diane Severson. "Scenic Overlook," Z Miscellaneous, Vol. 2, No. 3, May 1988. Reprinted in Blue Light Review, No. 12, Summer 1989. "Schrödinger's Catsitter," Star*Line, Vol. 33, No. 4, July/Aug. 2010. "Seasons," Poetry Forum, Vol. 2, No. 1, Sept. 1989. “Seasons of Darkness, Sun,” The Nocturnal Lyric, No. 26, 1992. "Seclusion," Hob-Nob, #58, Vol. 24, No. 2, 1992. "The Send-Off," Mythic Delirium, Iss. 18, Winter/Spring 2008. Audio edition (read by Diane Severson), StarShipSofa, Aural Delights, No. 104, Oct. 15, 2009. Collected in Dreaming of Days in Astophel by Lyn C. A. Gardner, Sam's Dot Publishing, 2011. 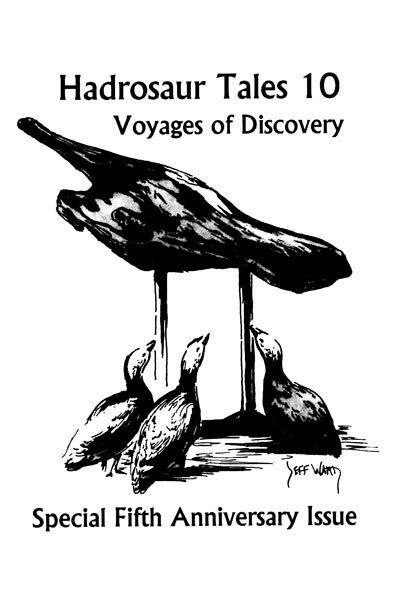 "The Serpent's Price," Hadrosaur Tales, Voyages of Discovery: Special Fifth Anniv. Iss., Vol. 10, 2001. Collected in Dreaming of Days in Astophel by Lyn C. A. Gardner, Sam's Dot Publishing, 2011. "Seven Leagues," Sybil's Garage No. 7, July 2010. Playlist for this issue. "The Short Story Club," Big Pulp, "Catskin," Vol. 4, No. 2, Summer 2013 (Whole issue #9). "Silicone Valley (after "Eldorado" by Edgar Allan Poe)," NonBinary Review, Iss. 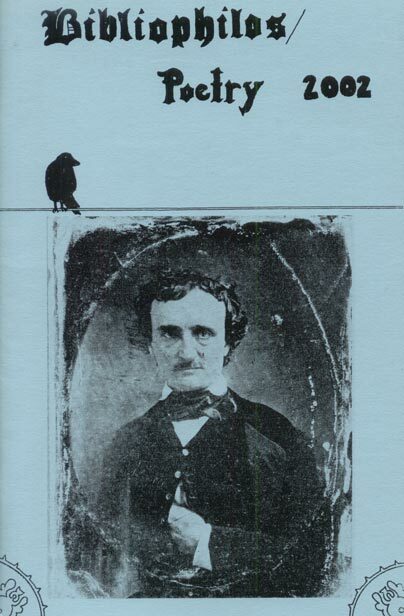 12: The Works of Edgar Allan Poe, Mar. 2017, Guest Ed. Selena Chambers (Santa Cruz, CA: Zoetic Press). Also in Alphanumeric, May 9, 2017; includes audio edition. "Sleep," Kaleidotrope, Iss. 2, Apr. 2007. "Snow Fort," Hob-Nob, #58, Vol. 24, No. 2, 1992. "Someday," tight, Vol. 3, No. 5, 1992. "Song to a Gull," Reflect, Vol. 9, No. 4, Spring 1989. "Sonnet No. 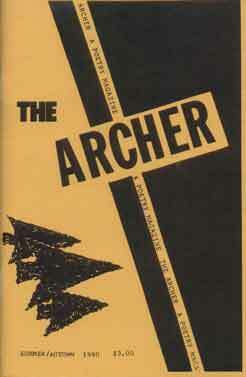 8,855," The Archer, Vol. 35, No. 2, Summer/Autumn 1990. “Spell for a Friend,” Eternal Haunted Summer, Winter Solstice 2016. 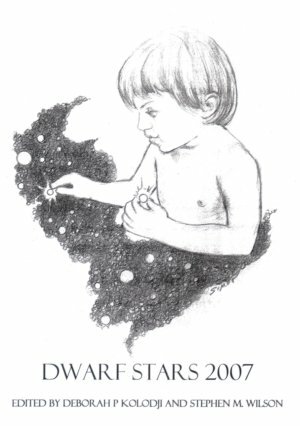 "Starshine," Scifaikuest, Aug. 2016, print ed., 14th Anniv. Iss. "Steady Flames," Astropoetica: Mapping the Stars through Poetry, Vol. 7, No. 1, Spring 2009. "A Still Afternoon," Reflect, Vol. 10, No. 1, Summer 1989. Reprinted in Poetry Forum, Vol. 2, No. 2, Winter 1990. "Stilts," Songs of Eretz Poetry E-Zine, Vol. 1, Iss. 4, Feb. 2014. Reprinted in Steve Gordon’s Songs of Eretz Poetry Review, Thurs., Apr. 30, 2015. "The Sun at Evening," Reflect, Vol. 10, No. 1, Summer 1989. "Sunset," Midnight Express, No. 3, Oct. 1991. 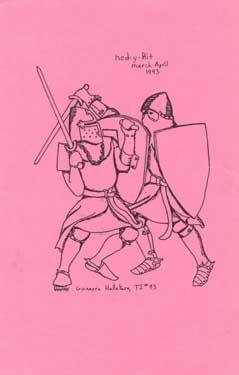 “The Swordswoman,” Moot Points, May 1992. 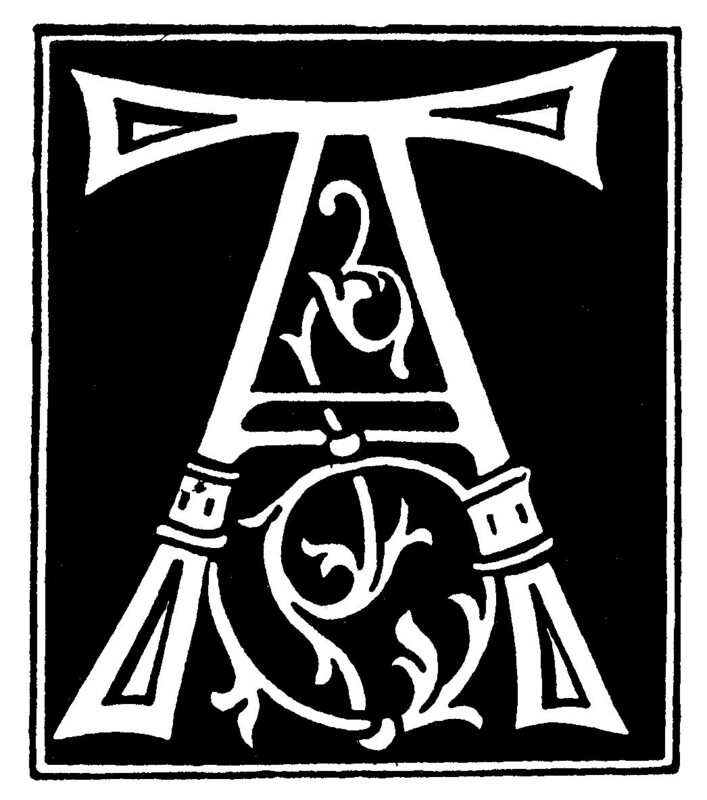 "Telon's Harp," ABC/xyz, Vol. 20, Iss. 3, 1991. Reprinted in Nod-y-Rit, Mar./Apr. 1993. Collected in Dreaming of Days in Astophel by Lyn C. A. Gardner, Sam's Dot Publishing, 2011. 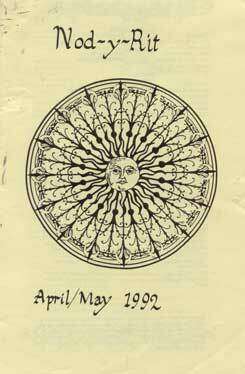 "This Time, No Submission," Poetry Forum, Fall 1990. "Threads of Gold," Heroic Fantasy Quarterly, Q37, August 2018; includes audio version read by the author. "Three for Sorrow," Miss Fit's Free Press, No. 7, Winter 1992. "Throat," Down in the Cellar, Iss. 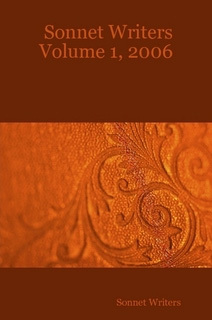 6, Winter 2007-2008 (published Dec. 2007). Reprinted in The Hungry Dead, Ed. Lester Smith, Popcorn Press, Dec. 2010. "Through Fire," Herspectives, Vol. 3, Iss. 3, Oct. 1991. "Time Travel Navigated by Constant Stars," Sonnet Writers, Vol. 1, 2006 (published online Dec. 8, 2006, and in print Oct. 2007). "The Time Traveler's Weekend," Liquid Imagination: Where Reality and Fantasy Blur, Iss. 15, Nov. 2012. 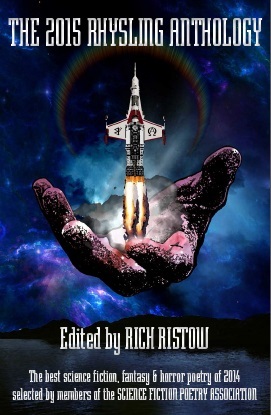 Reprinted in The 2013 Rhysling Anthology: The Best SF, Fantasy and Horror Poetry of 2012, Ed. John C. Mannone, Science Fiction and Fantasy Poetry Association, 2013. (Won Third Place [tie] in the Long Poem category of the Rhysling Award of the Science Fiction and Fantasy Poetry Association.) Audio edition, Rhysling Award Showcase, Poetry Planet, StarShipSofa No. 309, Will McIntosh, Oct. 16, 2013, hosted by Diane Severson. Time's Magic Measured," Tales of the Talisman, Vol. 3, Iss. 1, June 2007. Collected in Dreaming of Days in Astophel by Lyn C. A. Gardner, Sam's Dot Publishing, 2011. "Tinsel Rose," Silver Blade, Iss. 16, Nov. 2012. 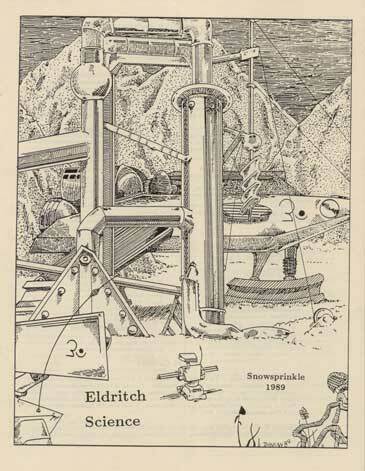 "To Fly Above the Sea," Eldritch Science, Snowsprinkle (Dec.) 1989. Collected in Dreaming of Days in Astophel by Lyn C. A. Gardner, Sam's Dot Publishing, 2011. 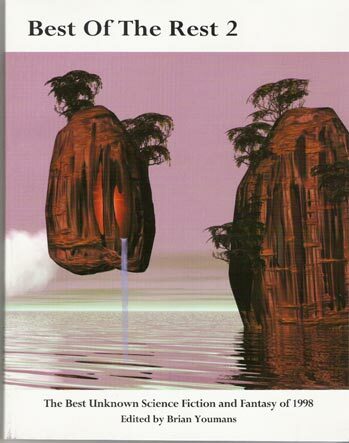 "To Follow You," Currents, 1991-92. "To Hear You Speak," Dreaming of Days in Astophel by Lyn C. A. Gardner, Sam's Dot Publishing, 2011. "To My Literary Rival," Big Pulp, "Catskin," Vol. 4, No. 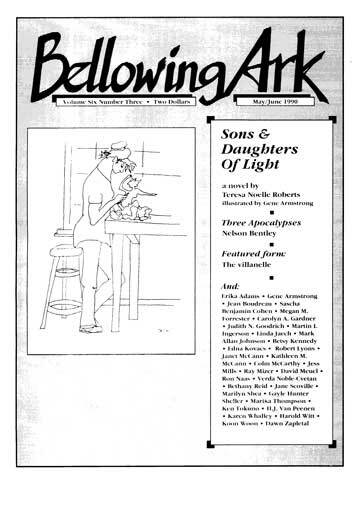 2, Summer 2013 (Whole issue #9). 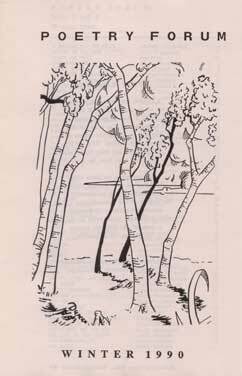 "Trees and Weeds," St. Joseph's Messenger and Advocate for the Blind, "Spirituality: A Reflection," Fall 2000. "La trobairitz a la dame de s'amie," Contemporary Rhyme, Vol. 2, No. 1, Winter 2005. Collected in Dreaming of Days in Astophel by Lyn C. A. Gardner, Sam's Dot Publishing, 2011. "The Turning," Omnific #6, Vol. 2, No. 2, July 1990. "Until My Love Stops Roaming," With Painted Words, Oct. 2009. “View of an Evening Sun,” Hadrosaur Tales, Vol. 9, 2000. Collected in Dreaming of Days in Astophel by Lyn C. A. Gardner, Sam's Dot Publishing, 2011. 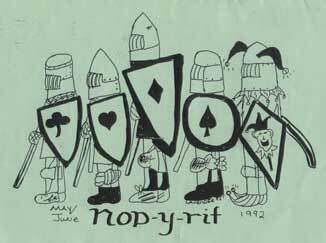 "Wake Her Not," Nod-y-Rit, Apr./May 1992. "Waking Beauty," Cabinet des Fees: A Journal of Fairy Tales, Scheherezade's Bequest, Iss. 9, Jan. 2010. Audio edition (read by the author), SFPA 2011 Halloween Poetry Reading, Science Fiction and Fantasy Poetry Association, Oct. 2011. "A Warning," Omnific, Vol. 2, No. 3, Oct. 1990. 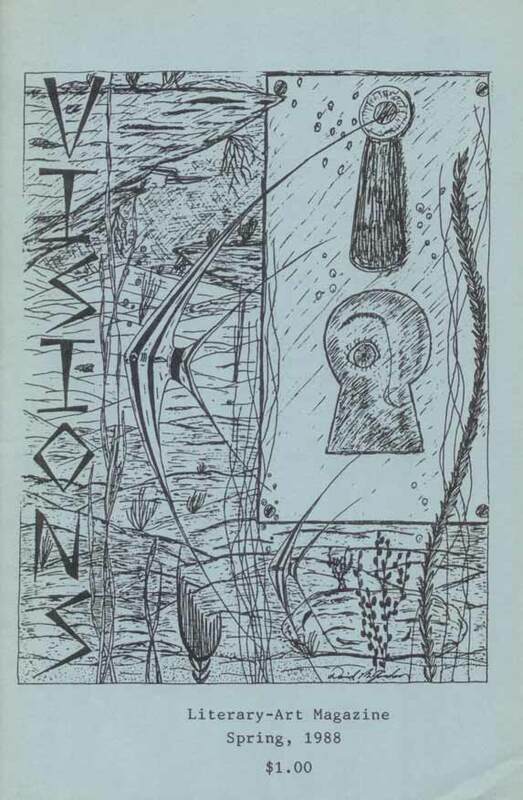 "Wave Etchings on Human Bone: Gold Rush '88," Currents, 1988-89. "The Way Between," Doorways Magazine, Iss. 1, Feb. 2007. 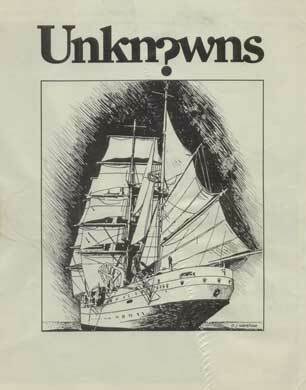 "We didn't know," Scifaikuest: A Magazine of Minimalist Poetry, Feb. 2010. "Wearing," Space & Time Magazine, Iss. 118, Spring 2013. 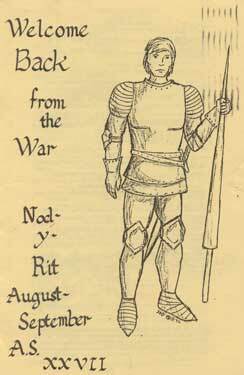 "What to Look for in a Lord," Nod-y-Rit, Aug./Sept. 1992. Reprinted in Moot Points, July 1993. 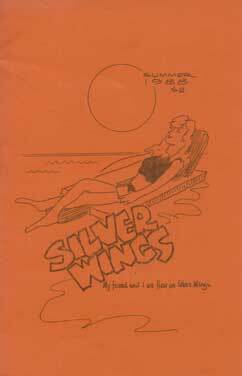 "When Voices," Silver Wings, Summer 1988. 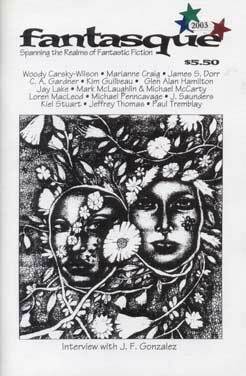 "While the Candles Burn," Currents, Spring 1993. Reprinted in The Black Lily, Iss. 10, Spring 2002. Collected in Dreaming of Days in Astophel by Lyn C. A. Gardner, Sam's Dot Publishing, 2011. "Who Wore the Girdle," Eternal Haunted Summer, Autumn Equinox 2013. "The Wind," St. Joseph's Messenger and Advocate of the Blind, "Spirituality: A Reflection," Fall 2000. "The Wind Is Blowing," Eternal Haunted Summer, Spring Equinox 2013. "Windy Day," Reflect, Vol. 9, No. 4, Spring 1989. 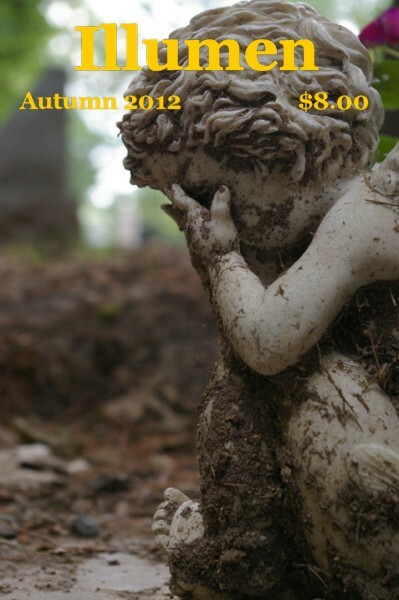 "The Witch Girl," Goblin Fruit, Autumn 2011; includes audio version read by the author. Reprinted in The 2012 Rhysling Anthology: The Best Science Fiction, Fantasy, and Horror Poetry of 2011, selected by members of the Science Fiction and Fantasy Poetry Association, Ed. 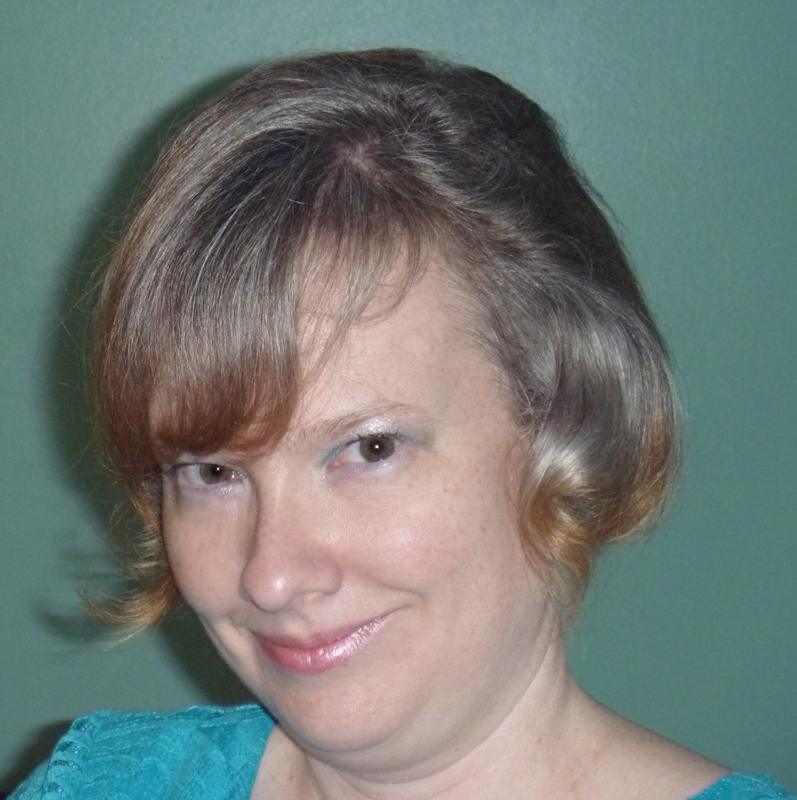 Lyn C. A. Gardner, Science Fiction and Fantasy Poetry Association, 2012. (Nominated in the Long Poem category for the Rhysling Award of the Science Fiction and Fantasy Poetry Association.) 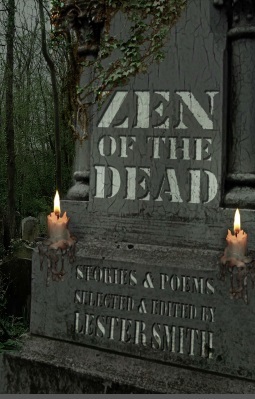 Audio edition (read by the author), SFPA 2015 Halloween Poetry Reading, Ed. Liz Bennefeld and Shannon Connor Winward, Science Fiction and Fantasy Poetry Association, Oct. 2015. 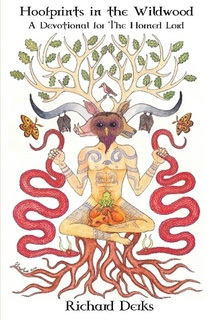 "Witch Habiliments," Illumen, Autumn 2012. Audio edition (read by the author), SFPA 2017 Halloween Poetry Reading, Ed. Ashley Dioses, Science Fiction and Fantasy Poetry Association, Oct. 2017. "Without the time waltz," Halloween Haiku, Ed. Lester Smith, Popcorn Press, 2011. "The Wooden Flute," Reflect, Vol. 10, No. 1, Summer 1989. "WWII Muscles," Songs of Eretz Poetry E-Zine, Aug. 2014 first anniv. iss., as part of a Father & Daughter Special Feature. Reprinted in Steve Gordon’s Songs of Eretz Poetry Review, Sun., June 28, 2015, in the "Poetry Review Father & Daughter Special Feature: Poems by Adele and Delbert R. Gardner." “Ys Awake,” Forms of Fancy, an annual from Moot Points, Nov. 1992. Collected in Dreaming of Days in Astophel by Lyn C. A. Gardner, Sam's Dot Publishing, 2011. "So You Want to Be a Bard?," FrostFire Worlds, May 2014. 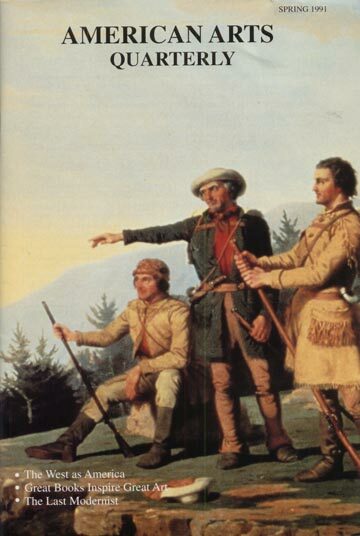 All the Brothers Were Valiant by Ben Ames Williams, Encyclopedia of American Literature of the Sea and Great Lakes, Ed. Jill B. Gidmark, 2000. "Joy Chant," Women in Science Fiction and Fantasy: An Encyclopedia, Vol. 2, Ed. Robin Anne Reid (Westport, CT: Greenwood Press, 2009), 60. 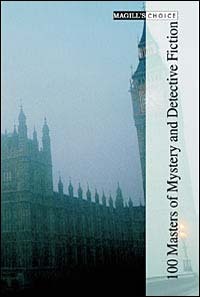 Magill's Choice: 100 Masters of Mystery and Detective Fiction, Ed. Fiona Kelleghan, 2001. Nine entries updated, including Leslie Charteris, Daphne du Maurier, Harry Kemelman, Margaret Millar, Elizabeth Peters, Georges Simenon, Maj Sjöwall and Per Wahlöö, Julian Symons, and Phyllis A. Whitney. “The Vampire Chronicles” (updated), Magill’s Choice: Classics of Science Fiction and Fantasy Literature, Ed. 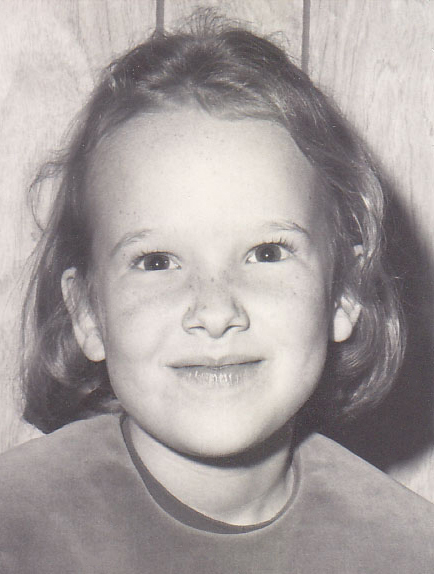 Fiona Kelleghan, 2002. "Outposts of Beyond Interview with Speculative Poet Adele Gardner," Outposts of Beyond, July 2013. "Why We Write: Adele Gardner," 1888 Center, July 12, 2017. "History and the Work of Memory: An Interview with Luisa A. Igloria," Virginia Libraries, the quarterly journal of the Virginia Library Association, Vol. 52, No. 2, Apr./May/Jun. 2006. "'How to Plot a Murder': An Interview with J. B. Stanley," Virginia Libraries, the quarterly journal of the Virginia Library Association, Vol. 54, No. 3-4, Jul./Aug./Sept.-Oct./Nov./Dec. 2008. "The Locus of the Imagination: An Interview with Michael Pearson," Virginia Libraries, the quarterly journal of the Virginia Library Association, Vol. 51, No. 2, Apr./May/Jun. 2005. "Painting out of the Past: An Interview with Jay S. Paul," Virginia Libraries, the quarterly journal of the Virginia Library Association, Vol. 50, No. 3, Jul./Aug./Sept. 2004. 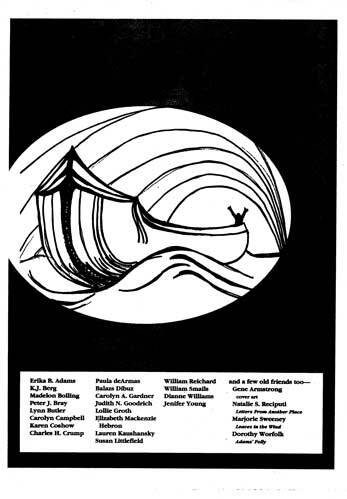 Authors at Sea: Modern American Writers Remember Their Naval Service by Robert Shenk, The Mariners’ Museum Journal, 1997. The Battered Body: A Supper Club Mystery by J. B. Stanley, "Virginia Reviews," Virginia Libraries, Vol. 56, No. 1, Jan./Feb./Mar. 2010. Gothic Feminism: The Professionalization of Gender from Charlotte Smith to the Brontës by Diane Long Hoeveler, Journal of the Fantastic in the Arts, Vol. 12, Iss. 3, 2001. Concord, Virginia: A Southern Town in Eleven Stories by Peter Neofotis, Virginia Libraries, Vol. 58, No. 1, Jan./Feb./Mar. 2012. 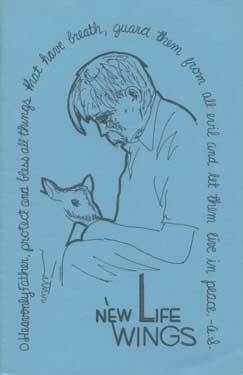 The Human Touch: Poems by Bill Glose, "Virginia Reviews," Virginia Libraries, Vol. 56, No. 3, Jul./Aug./Sept. 2010. 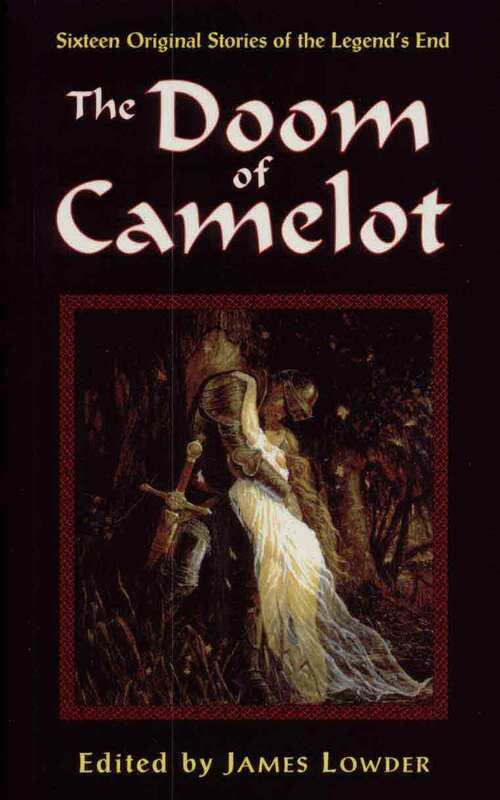 Rewriting the Women of Camelot by Ann F. Howey, Journal of the Fantastic in the Arts, Vol. 15, Iss. 1, Spring 2004. River Country by Carolyn Kreiter-Foronda, "Virginia Reviews," Virginia Libraries, Vol. 55, No. 4, Oct./Nov./Dec. 2009. What the Thunder Said by Janet Peery, "Virginia Reviews," Virginia Libraries, Vol. 55, No. 3, Jul./Aug./Sept. 2009. "'A Chantar,' a Song by the Comtessa (Beatriz) de Dia," Nod-y-Rit, Dec./Jan. 1994. "Finding Virginia Authors," Virginia Libraries, the quarterly journal of the Virginia Library Association, Vol. 54, No. 3-4, Jul./Aug./Sept.-Oct./Nov./Dec. 2008. "Finding Virginia Authors for Reviews, Programs, and Collection Development," Virginia Libraries, Vol. 55, No. 4, Oct./Nov./Dec. 2009. "Internet Temptations," Writing on the Run Tip of the Week, Newsletter of Writing on the Run, Mar. 3, 2007. "Life's a Beach: The History of the Bathing Suit," compiled, edited, and ghostwritten from text for the planned exhibit by Thomas Moore & Anne Marie Millar, Hampton Roads Monthly, June 2001. "Reading on the Run," Writing on the Run Tip of the Week, Newsletter of Writing on the Run, Mar. 10, 2007. "Serving Your Filipino-American Community," Virginia Libraries, the quarterly journal of the Virginia Library Association, Vol. 52, No. 2, Apr./May/Jun. 2006. 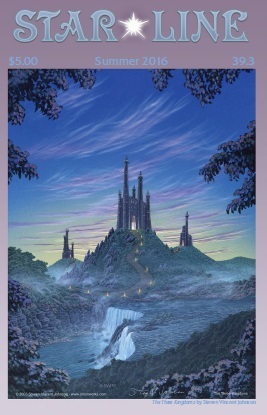 "The Solitary Quest: The Hero's Search for Identity in Roger Zelazny's Amber," Strange Horizons, Sept. 25, 2006. 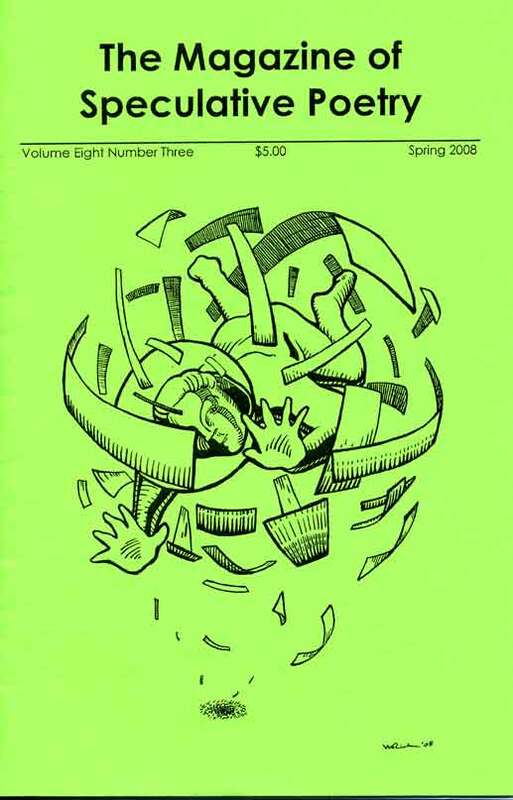 "Speculative Poetry: Form and Function," The Seventh Week (Clarion West Writers Workshop newsletter), Spring 2005. "Welcoming Our GLBT Patrons," Virginia Libraries, the quarterly journal of the Virginia Library Association, Vol. 52, No. 2, Apr./May/Jun. 2006. Wrote label copy and collected artifacts for “Herman Melville: ‘The Man Who Lived among the Cannibals’” in the exhibition Skin Deep: The Art of the Tattoo, presented from October 24, 1998, to September 26, 1999, at The Mariners’ Museum. Editorials & ongoing columns for Virginia Libraries, quarterly journal of the Virginia Library Association. See also "Reviews," above. 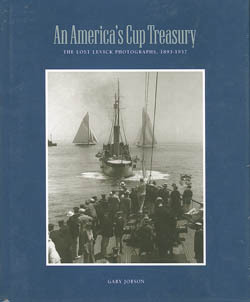 "Virginia Publications" by Lyn C. A. Gardner, Virginia Libraries, Vol. 60, No. 3, Jul./Aug./Sept. 2014. 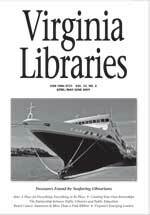 "Virginia Publications" by Lyn C. A. Gardner, Virginia Libraries, Vol. 60, No. 2, Apr./May/Jun. 2014. "Virginia Publications" by Lyn C. A. Gardner, Virginia Libraries, Vol. 60, No. 1, Jan./Feb./Mar. 2014. 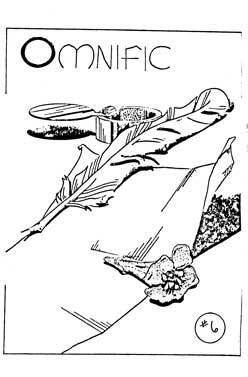 "Virginia Publications" by Lyn C. A. Gardner, Virginia Libraries, Vol. 59, No. 4, Oct./Nov./Dec. 2013. 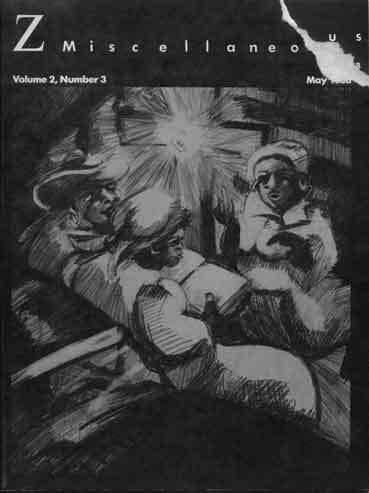 "Virginia Publications" by Lyn C. A. Gardner, Virginia Libraries, Vol. 59, No. 3, Jul./Aug./Sept. 2013. 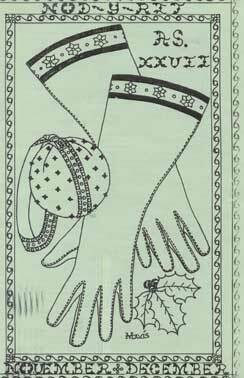 "Virginia Publications" by Lyn C. A. Gardner, Virginia Libraries, Vol. 59, No. 2, Apr./May/Jun. 2013. Sessions covered in "Virginia Library Association 2012 Annual Conference, Williamsburg, Virginia, October 24-26," Virginia Libraries, Vol. 59, No. 2, Apr./May/Jun. 2013. 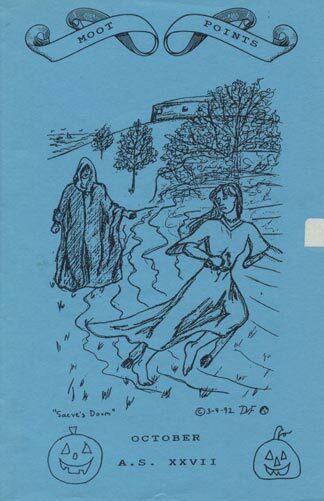 "Virginia Publications" by Lyn C. A. Gardner, Virginia Libraries, Vol. 59, No. 1, Jan./Feb./Mar. 2013. 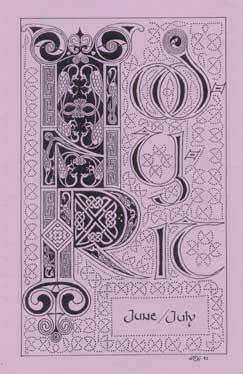 "Virginia Publications" by Lyn C. A. Gardner, Virginia Libraries, Vol. 58, No. 4, Oct./Nov./Dec. 2012. "Virginia Publications" by Lyn C. A. Gardner, Virginia Libraries, Vol. 58, No. 3, Jul./Aug./Sept. 2012. "Virginia Publications" by Lyn C. A. Gardner, Virginia Libraries, Vol. 58, No. 2, Apr./May/Jun. 2012. Sessions covered in "Literacy and Sustainability in Virginia's Libraries: Virginia Library Association 2011 Annual Conference, Portsmouth, Virginia, October 27–28," Virginia Libraries, Vol. 58, No. 2, Apr./May/Jun. 2012. 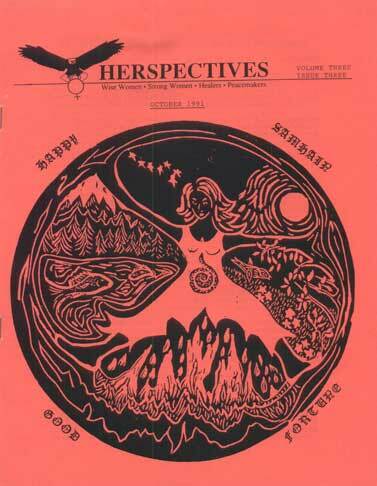 "Openers: Possibilities Evolve" by Cy Dillon and Lyn C. A. Gardner, Virginia Libraries, Vol. 58, No. 1, Jan./Feb./Mar. 2012. "Virginia Publications" by Lyn C. A. Gardner, Virginia Libraries, Vol. 58, No. 1, Jan./Feb./Mar. 2012. "Openers" by Cy Dillon and Lyn C. A. Gardner, Virginia Libraries, Vol. 57, No. 4, Oct./Nov./Dec. 2011. "Virginia Publications" by Lyn C. A. Gardner, Virginia Libraries, Vol. 57, No. 4, Oct./Nov./Dec. 2011. 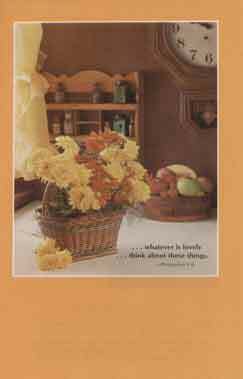 "Openers" by Lyn C. A. Gardner, Virginia Libraries, Vol. 57, No. 3, Jul./Aug./Sept. 2011. "Virginia Publications" by Lyn C. A. Gardner, Virginia Libraries, Vol. 57, No. 3, Jul./Aug./Sept. 2011. 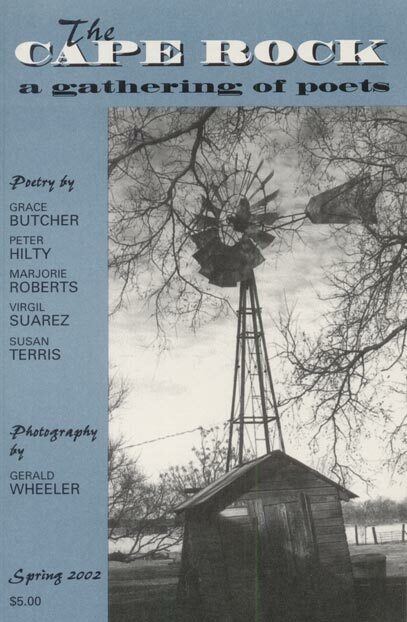 "Openers" by Lyn C. A. Gardner and Cy Dillon, Virginia Libraries, Vol. 57, No. 2, Apr./May/Jun., 2011. Sessions covered in "Keeping Vision and Focus in Challenging Times: Virginia Library Association 2010 Annual Conference, Portsmouth, Virginia, October 21–22, 2010," Virginia Libraries, Vol. 57, No. 1, Jan./Feb./Mar. 2011. "Openers: The Particular Delight of Special Libraries" by Lyn C. A. Gardner, Virginia Libraries, Vol. 56, No. 4, Oct./Nov./Dec. 2010. "Openers" by Lyn C. A. Gardner, Virginia Libraries, Vol. 56, No. 3, July/Aug./Sept. 2010. "Openers: Celebrating Special Collections" by Lyn C. A. Gardner, Virginia Libraries, Vol. 56, No. 1, Jan./Feb./Mar. 2010. Sessions covered in "Libraries: Foundations and Fundamentals in Times of Challenge and Change: Virginia Library Association 2009 Annual Conference, Williamsburg, Virginia, October 29–30, 2009," Virginia Libraries, Vol. 56, No. 1, Jan./Feb./Mar. 2010. "Openers" by Lyn C. A. Gardner, Virginia Libraries, Vol. 55, No. 4, Oct./Nov./Dec. 2009. "Openers: Creating Your Own Internships" by Lyn C. A. Gardner, Virginia Libraries, Vol. 55, No. 2, Apr./May/Jun. 2009. "Openers: For the Love of Reading" by Lyn C. A. Gardner and Cy Dillon, Virginia Libraries, Vol. 54, No. 3-4, Jul./Aug./Sept.-Oct./Nov./Dec. 2008. "Openers: Mistakes: Simple and Complex" by Cy Dillon and Lyn C. A. Gardner, Virginia Libraries, Vol. 54, No. 2, Apr./May/Jun. 2008. "Openers: Literacy: The Long View" by Lyn C. A. Gardner, Virginia Libraries, Vol. 54, No. 1, Jan./Feb./Mar. 2008. "Openers" by Cy Dillon and C. A. Gardner, Virginia Libraries, Vol. 53, No. 3, Jul./Aug./Sept. 2007. "Openers" by C. A. Gardner and Cy Dillon, Virginia Libraries, Vol. 53, No. 2, Apr./May/Jun. 2007. "Openers" by C. A. Gardner, Virginia Libraries, Vol. 52, No. 4, Oct./Nov./Dec. 2006. "Openers" by Cy Dillon and Lyn Gardner, Virginia Libraries, Vol. 52, No. 3, Jul./Aug./Sept. 2006. "Openers: Welcoming Everyone" by C. A. Gardner and Cy Dillon, Virginia Libraries, Vol. 52, No. 2, Apr./May/Jun. 2006. "Openers: The Importance of Customer Service" by C. A. Gardner, Virginia Libraries, Vol. 51, No. 4, Oct./Nov./Dec. 2005. "A Particular Perspective: Our Editors Speak" by Cy Dillon and C. A. Gardner, Virginia Libraries, Vol. 51, No. 3, Jul./Aug./Sept. 2005. "Openers: The Future of Books" by C. A. Gardner and Cy Dillon, Virginia Libraries, Vol. 51, No. 1, Jan./Feb./Mar. 2005. "Openers: They Will Come" by Cy Dillon and C. A. Gardner, Virginia Libraries, Vol. 50, No. 4, Oct./Nov./Dec. 2004. 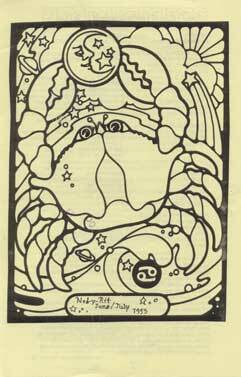 "Openers: Living with Art" by Cy Dillon and C. A. Gardner, Virginia Libraries, Vol. 50, No. 3, Jul./Aug./Sept. 2004. "Openers: The Challenge of New Media" by C. A. Gardner and Cy Dillon, Virginia Libraries, Vol. 50, No. 2, Apr./May/Jun. 2004. "Openers: A Community Effort" by Cy Dillon and C. A. Gardner, Virginia Libraries, Vol. 50, No. 1, Jan./Feb./Mar. 2004. Wrote much of ICMM News, the biannual newsletter of the International Congress of Maritime Museums, 1999-2001. 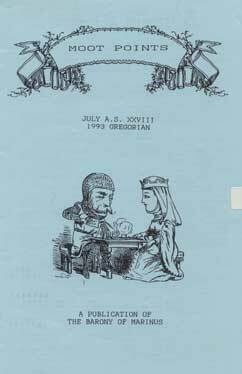 Wrote Pipe, the quarterly newsletter of The Mariners’ Museum, from 1999-2001. Please join us at Eye to the Telescope for a noble journey into the world of the Round Table! Issue 27, Arthuriana, January 2018, celebrates the legends that have been such a rich source of inspiration for so many. Responding to everything from modern Arthurian expressions to Celtic legends and medieval romances, from Victorian and Pre-Raphaelite revivals to folk songs, these speculative poems are delightful, funny, profound, and deeply human. Come spend time with Sir Gawain and the Lady of Shalott—Morgan le Fey and King Arthur's court—enchantresses and knights of gold—the hawthorn tree holding Merlin captive, and the cats of Camelot! With so many variations, all share my enthusiasm for these tales that continue to enchant and haunt us. May the road rise up to meet you on your quest! Guest Editor, 2017-18. 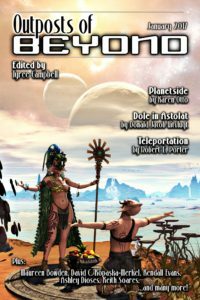 Eye to the Telescope, Issue 27, Arthuriana, January 2018, Science Fiction and Fantasy Poetry Association. Please join us for an amazing journey through the many faces of Camelot! Fiction, Nonfiction, and Managing Editor, 1994-95. Dominion Review, ODU. Arranged meetings and coordinated staff contributions, made final fiction and nonfiction selections, typed and copyedited contents, laid out magazine, and made printing decisions. Reader, 1994. Dominion Review, ODU. Helped select fiction and poetry. Editorial Staff, 1991-93. 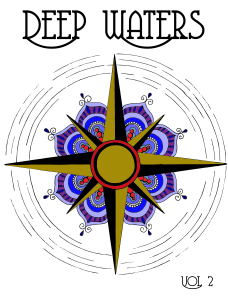 Currents, literary magazine, CNU. As a member of a large committee, helped anonymously select fiction and poetry. Editor, 1987-88. Visions, Denbigh High School. As a member of a large committee, helped anonymously select fiction, poetry, and art. In addition, was invested with veto power by our staff sponsor. Other duties as overall editor included typing, proofreading, and laying out the magazine; coordinating meetings; and managing distribution. Publicity Chair and Reader, 1986-87. Visions, Denbigh High School. Coordinated calls for submissions and handled publicity and distribution. As a member of a large committee, helped anonymously select fiction, poetry, art, and music. Peer Reviewer, Contributor, and Member of the Editorial Board, April 2012-. Under the leadership of the editors, I am currently a peer reviewer for Virginia Libraries, the quarterly journal of the Virginia Library Association (2016-). I have also been a member of the Editorial Board (2012-2015) and was an ongoing contributor of the column "Virginia Publications" before the journal entered peer-reviewed status (2012-2015). Editor, December 2011-July 2012. 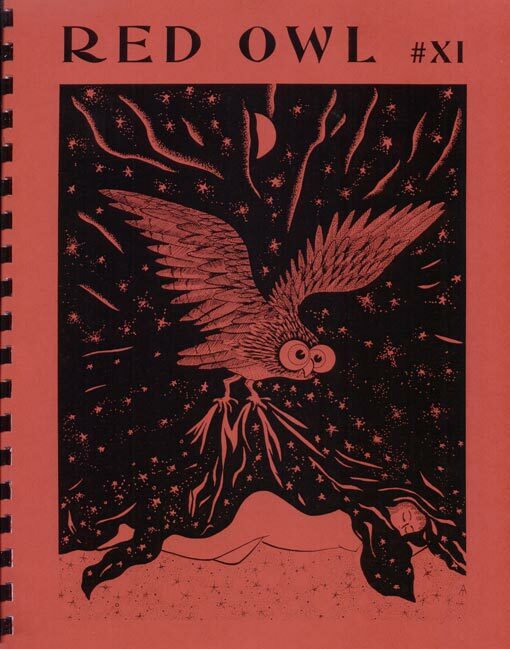 The Rhysling Anthology, Science Fiction and Fantasy Poetry Association. Chair of the Rhysling Awards. Coordinated nominations of poems by SFPA members; gathered permission for reprints; communicated with poets and publishers; prepared manuscript and proofread; coordinated correction of the proof; worked with SFPA officers to achieve deadlines and maintain quality standards. Coeditor, 2003-March 2012. With Cy Dillon, I coedited Virginia Libraries, the quarterly journal of the Virginia Library Association. We solicited, developed, edited, and occasionally contributed articles devoted to professional library services and other items of interest to those employed in Virginia libraries. We also conducted interviews with Virginia writers. Together, we wrote an editorial for each issue. In later issues, we also took on direct editing of and writing for the "Virginia Reviews" column, and I created the associated column "Virginia Publications." Editor, 1999-2001. VASLA Bulletin, Virginia Chapter of the Special Libraries Association. Solicited, wrote, and edited articles. Laid out newsletter and dealt with printer/distributor. Interim Copyeditor, 1994. AWP Job List, Associated Writing Programs (now called Association of Writers & Writing Programs), Old Dominion University. Typed, proofread, laid out publication, took issues to press, and managed distribution. Proofreader, 1994. Associated Writing Programs, ODU. Proofread AWP Chronicle (now called The Writer's Chronicle), AWP Guide to Writing Programs (now The AWP Official Guide to Writing Programs), brochures, announcements, and letters. 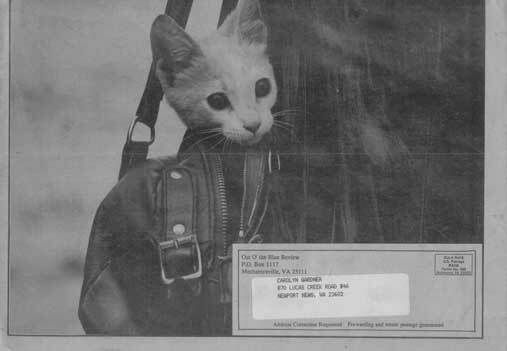 Assistant to the Editor, 1994. Phi Kappa Phi Newsletter, ODU. Obtained and researched articles, proofread, and prepared finished copy for distribution. Editor, 1999-2001. The Mariners' Museum, Newport News, Virginia. Edited all text put before the public, including books, newsletters, annual reports, exhibitions, press releases, educational packages, website text, announcements, and other items. • "Life's a Beach: The History of the Bathing Suit," compiled, edited, and ghostwritten from text for the planned exhibit by Thomas Moore & Anne Marie Millar, Hampton Roads Monthly (now Hampton Roads Magazine), June 2001. • Life's a Beach, was completely edited at time of layoffs/hiring freeze in June 2001, when all exhibits were cancelled due to the museum's financial crisis; the concept was later revisited and some of the text used for the installation that finally opened in the summer of 2005. Through referrals by ODU English Department Graduate Program Director, I edited a variety of projects for grammar, clarity, style, and special format requirements from 1996-97. Projects included The Golden Age Book by John Dabul, a PhD dissertation and an MA thesis, and "Unfit for Duty": Serendipity and Sorrow by John S. Jiannas. My most recent freelance editing projects include contributions to Magill’s Choice: Classics of Science Fiction and Fantasy Literature (Salem Press, 2002), Magill's Choice: 100 Masters of Mystery and Detective Fiction (Salem Press, 2001), and Encyclopedia of American Literature of the Sea and Great Lakes (Greenwood Press, 2000). 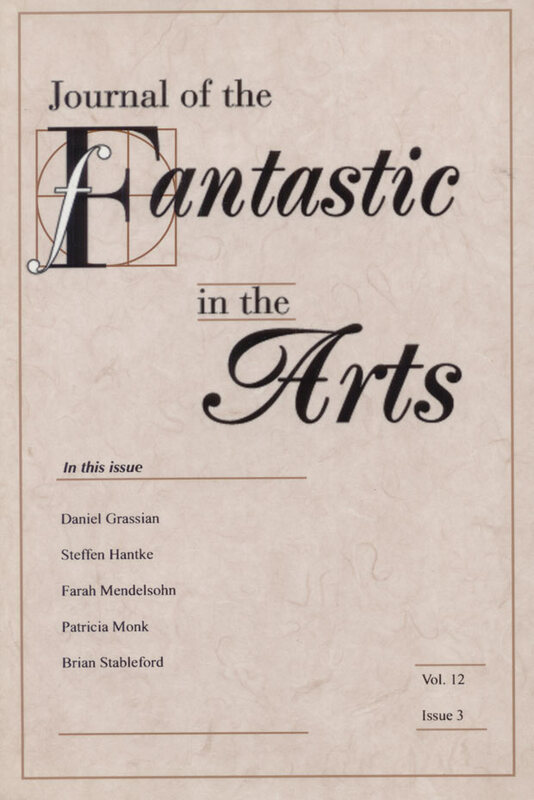 I also write book reviews, primarily for the Journal of the Fantastic in the Arts. For more information, visit the Nonfiction section of my Publications page. Master of Arts in English Literature. Old Dominion University, Norfolk, Va., May 1996. Emphasis in Creative Writing and Victorian Literature. GPA: 3.95. Thesis: An "Earthly Paradise": William Morris's Later Prose Romances. Bachelor of Arts in English Literature, with Music Minor in Performance (Harpsichord). Christopher Newport University, Newport News, Va., May 1993. GPA: 4.0. Top graduate of class. Participation in numerous writing workshops, conferences, and classes, 1991-present, including classes at CNU and ODU and workshops such as Clarion West (2004). Prepared constructive critiques of stories and papers. Intensive study of the craft of fiction, poetry, and nonfiction. With a master's in library and information studies from Florida State University (2003) and many years in library and research occupations, many of my library/information science and research skills also serve me well as an editor. Want to hear about new publications and projects?